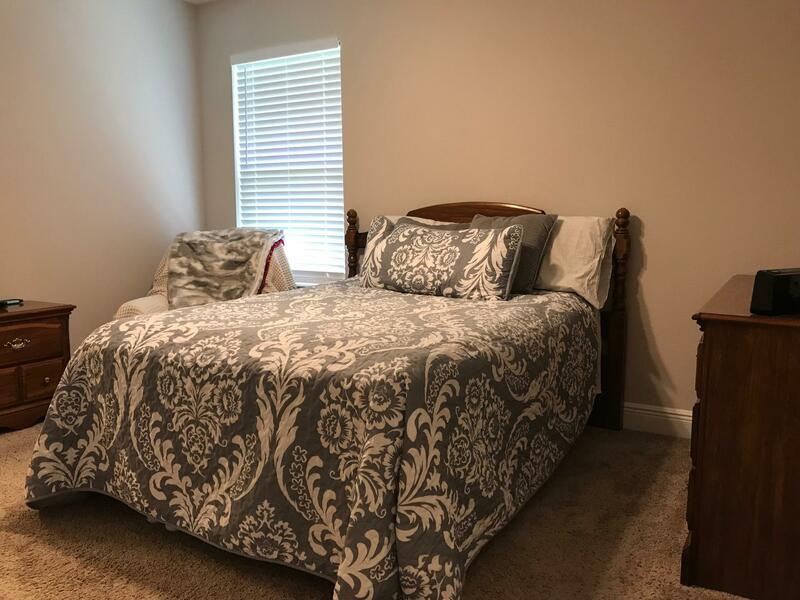 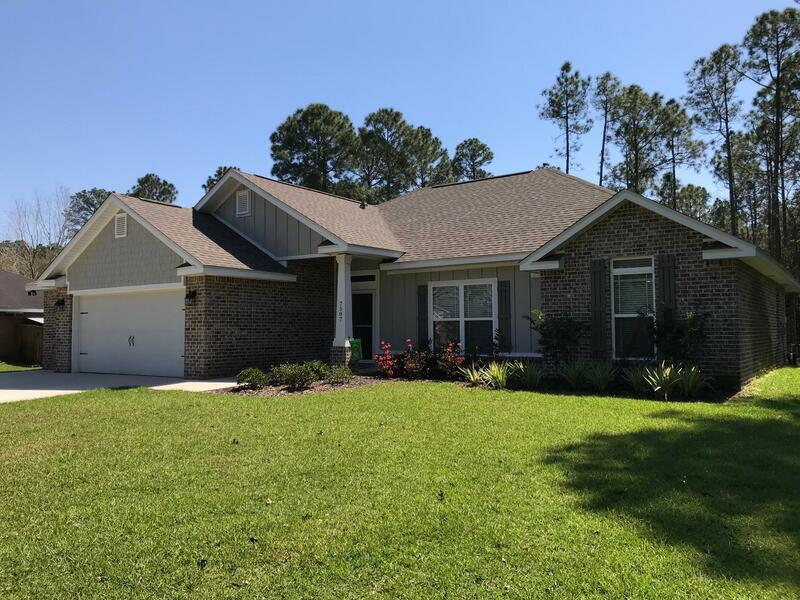 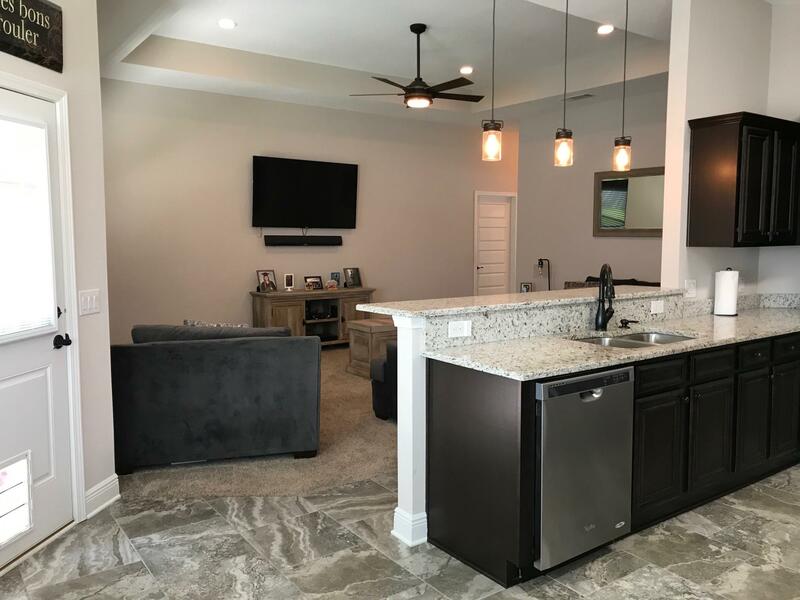 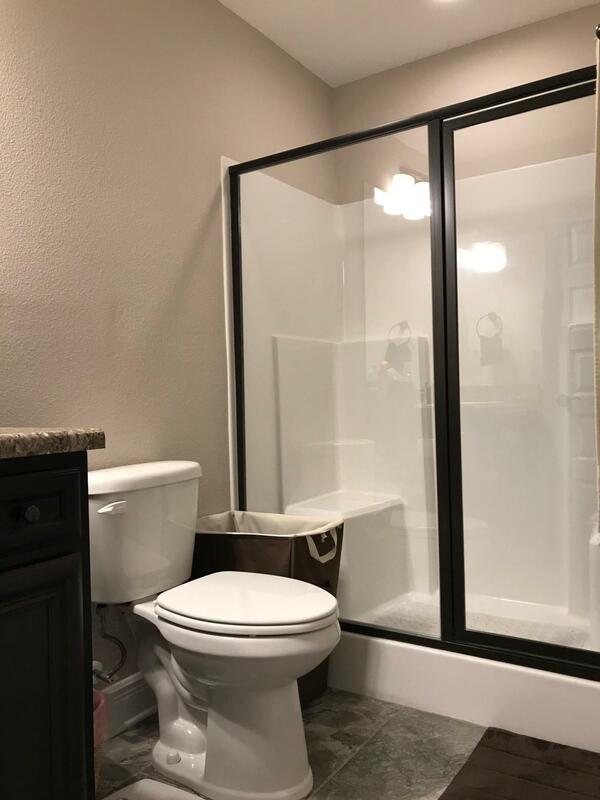 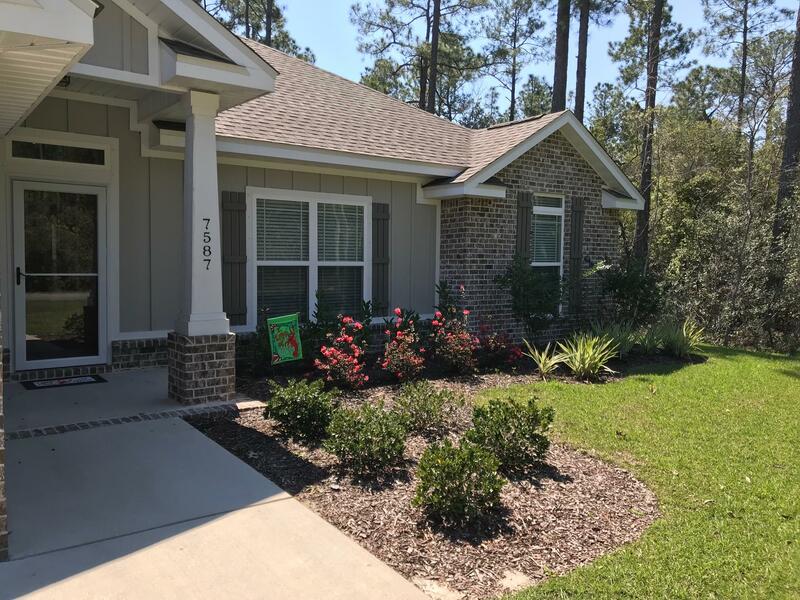 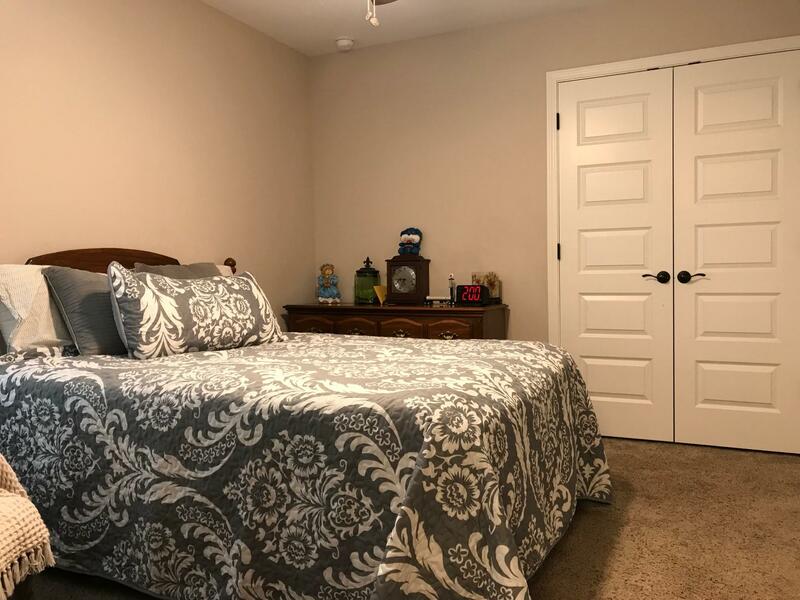 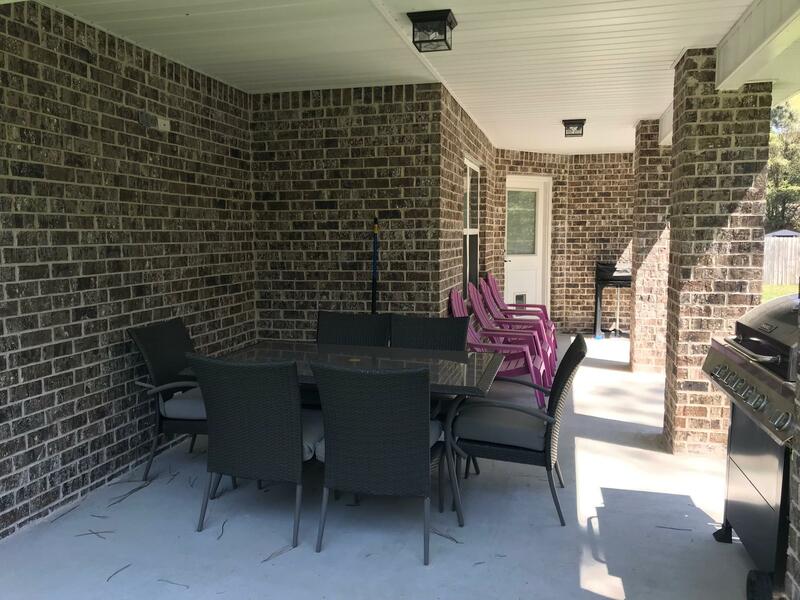 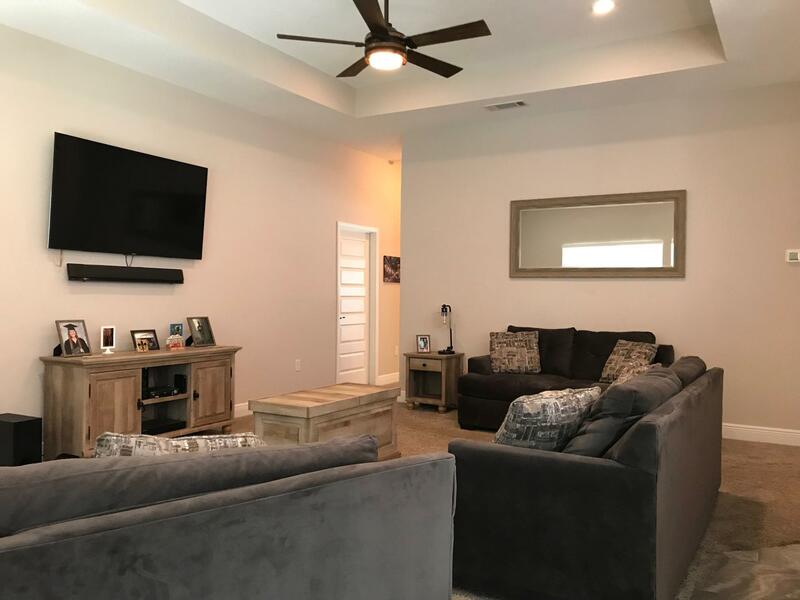 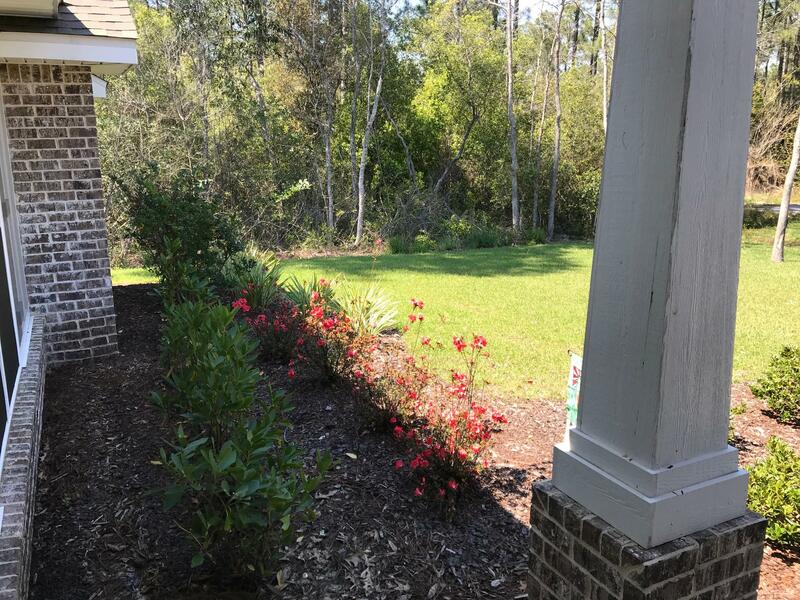 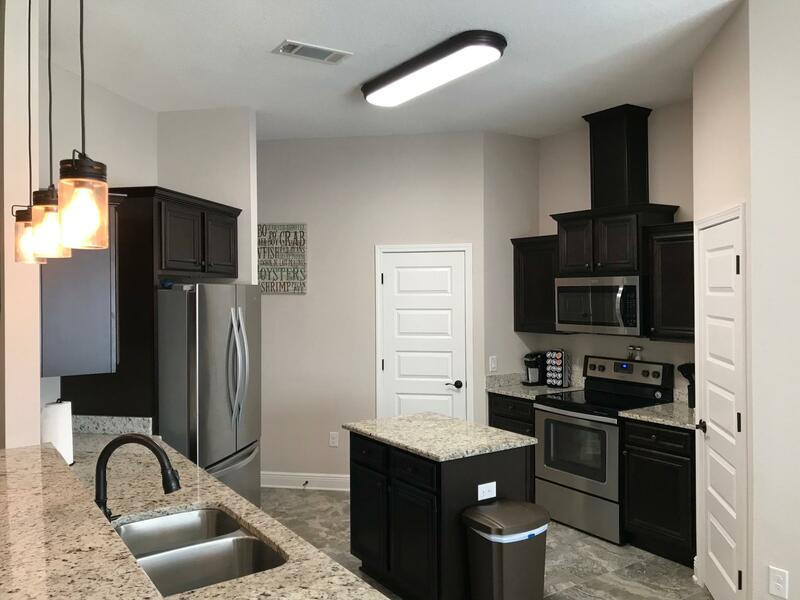 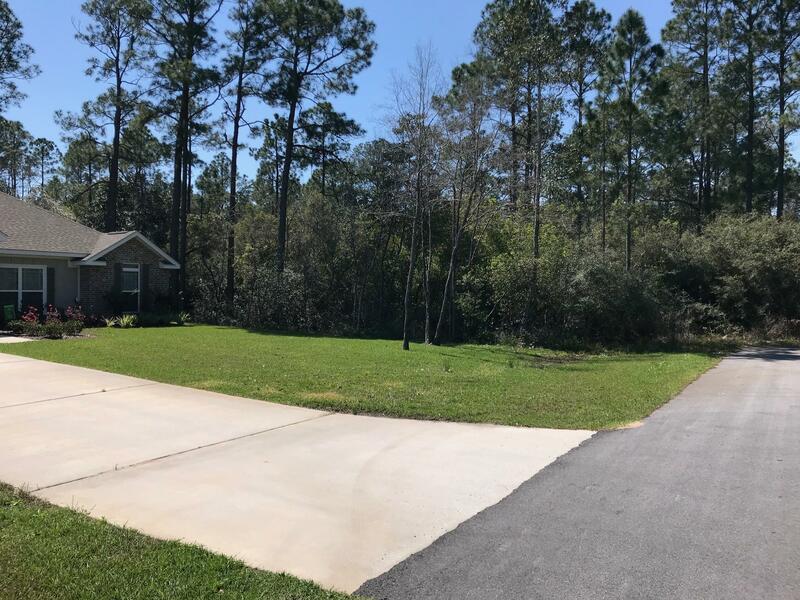 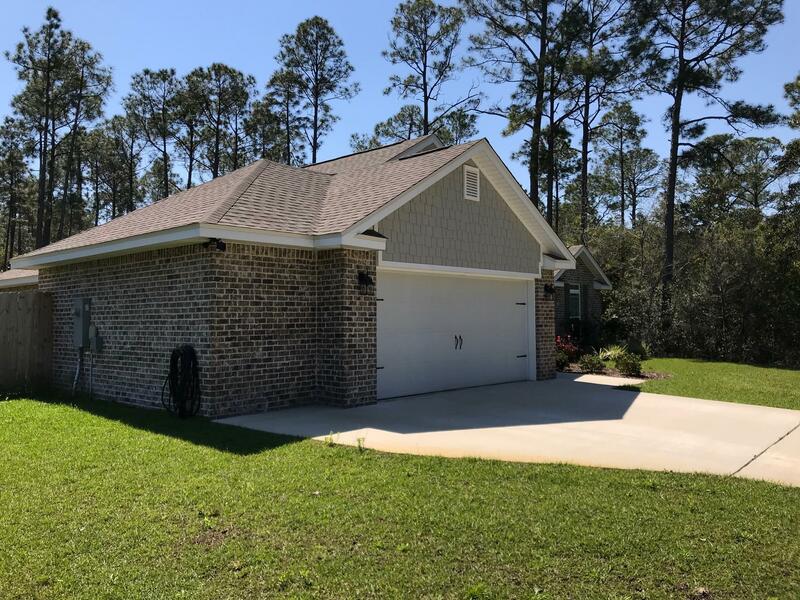 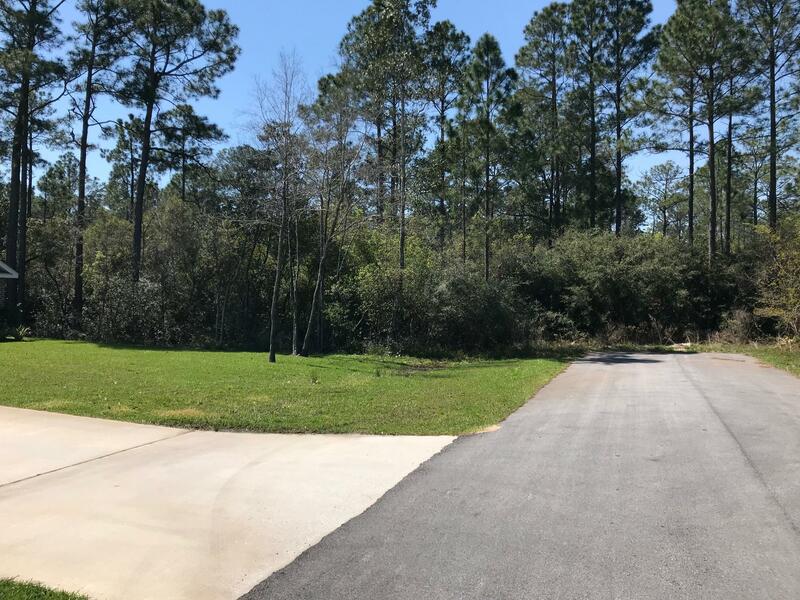 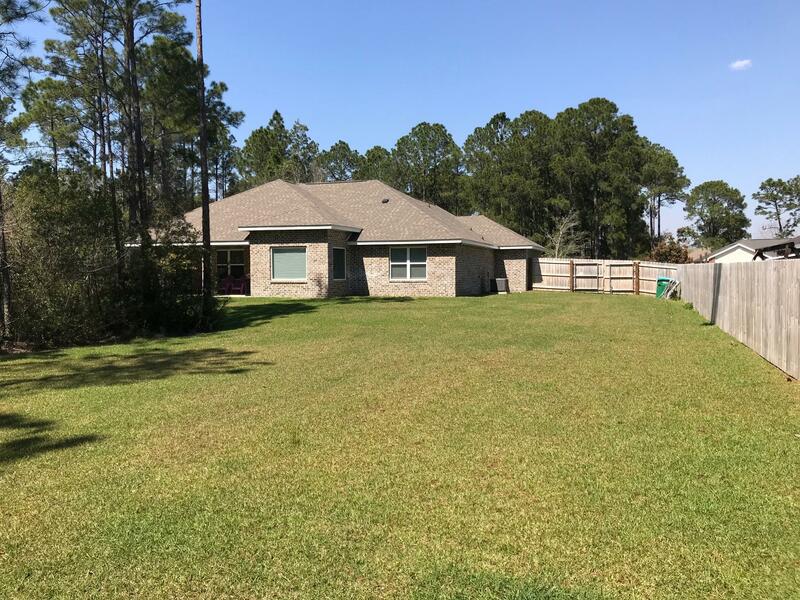 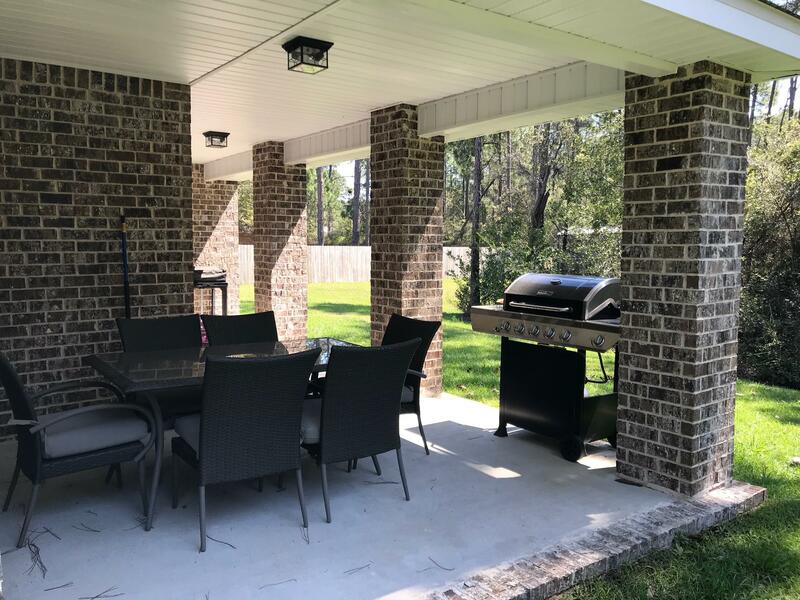 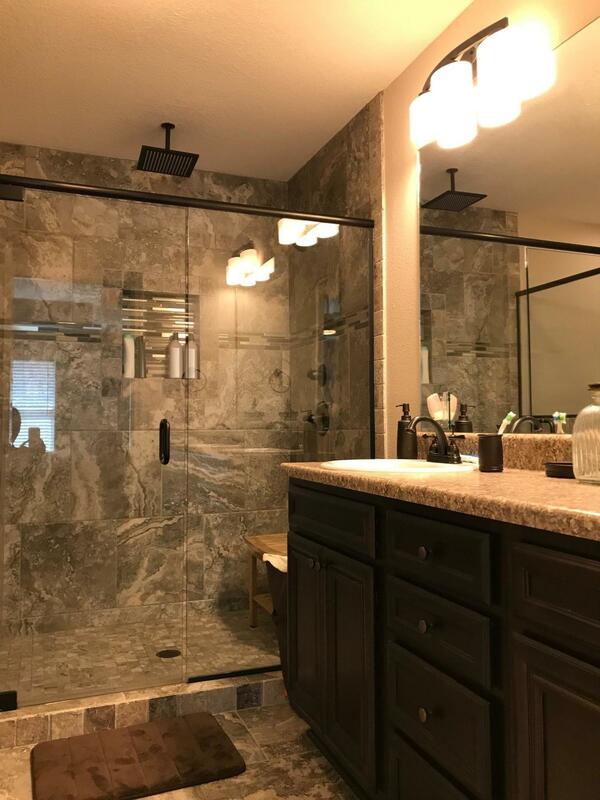 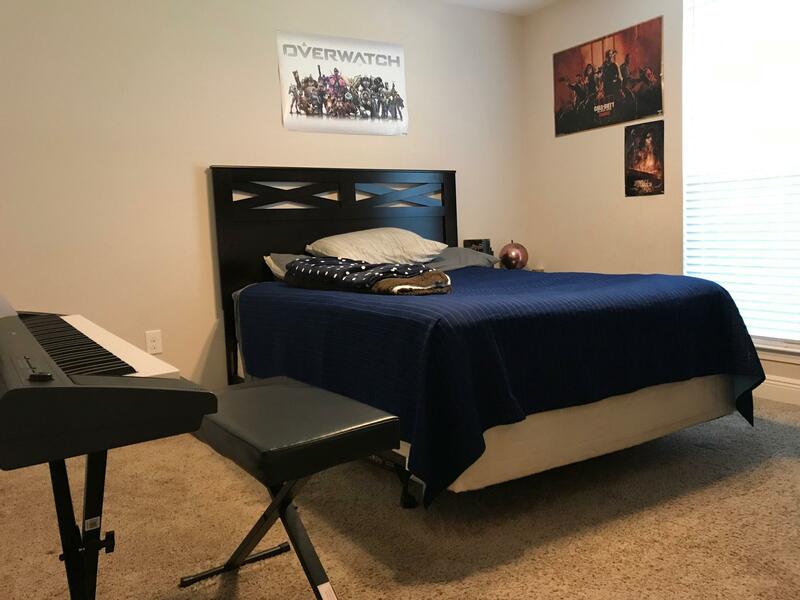 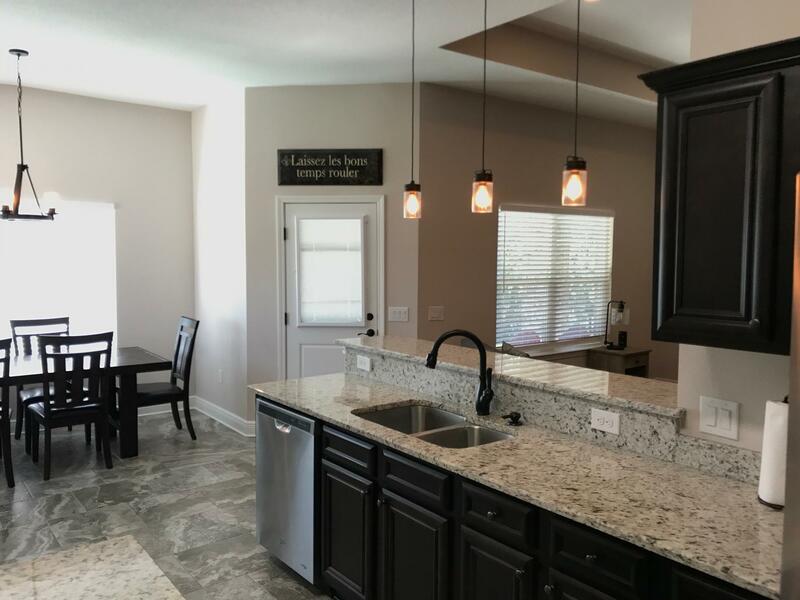 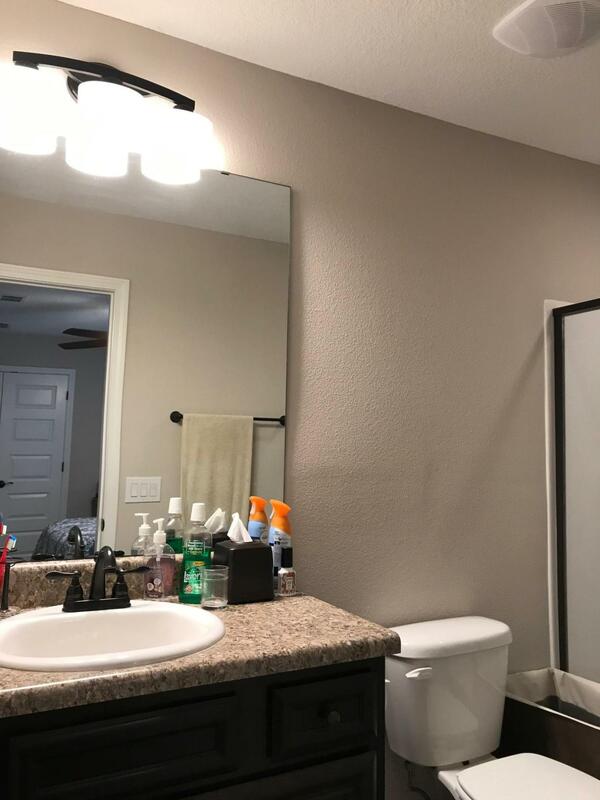 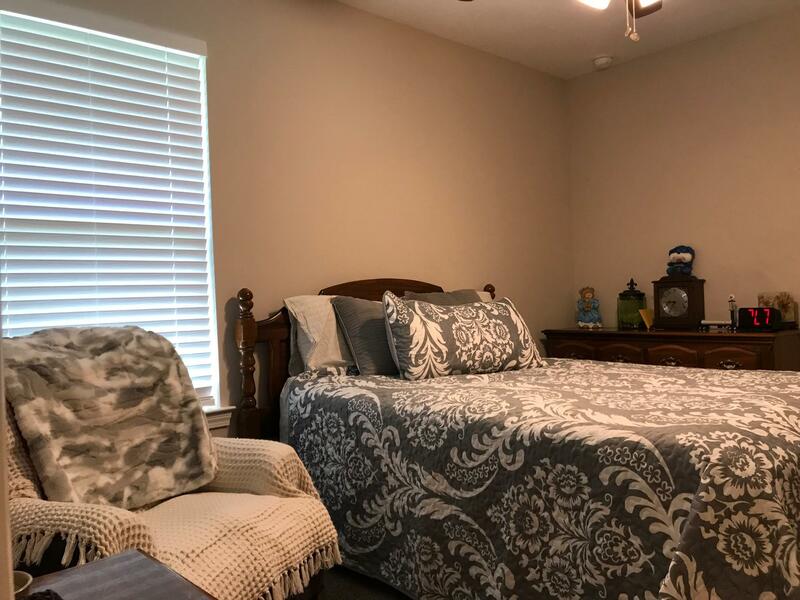 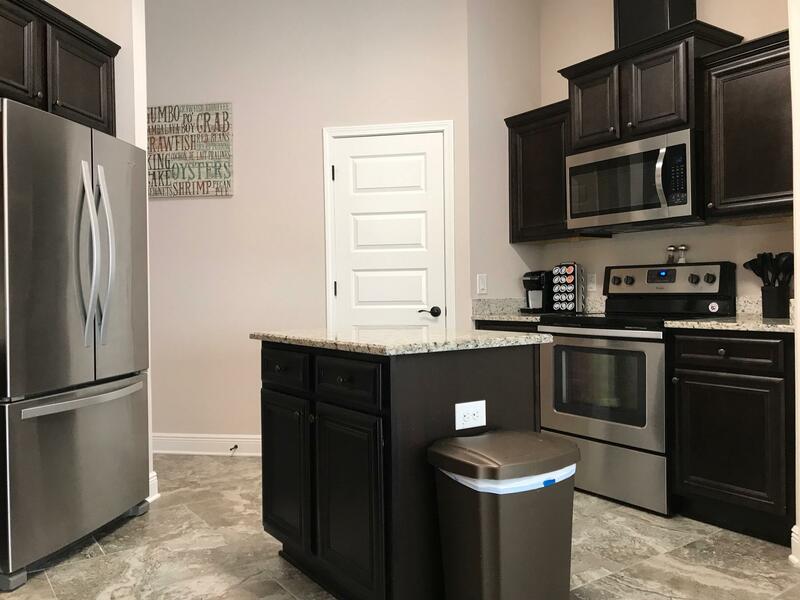 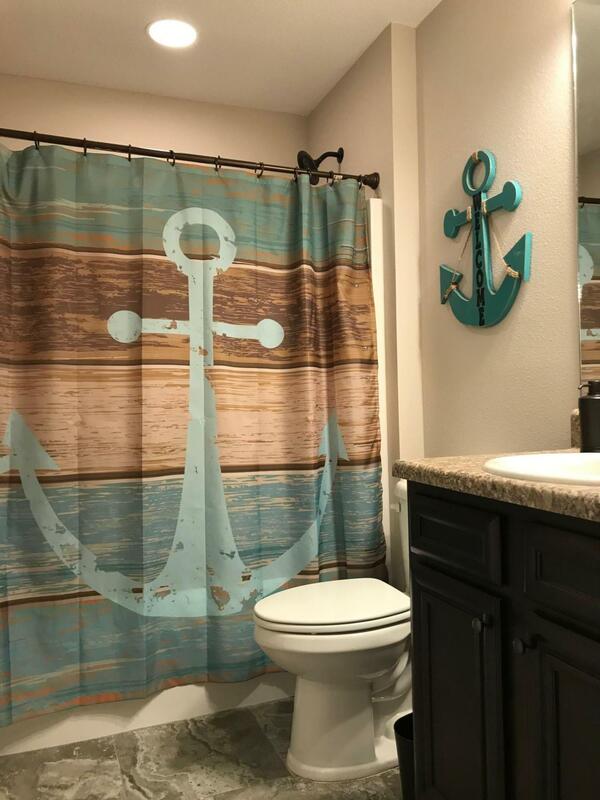 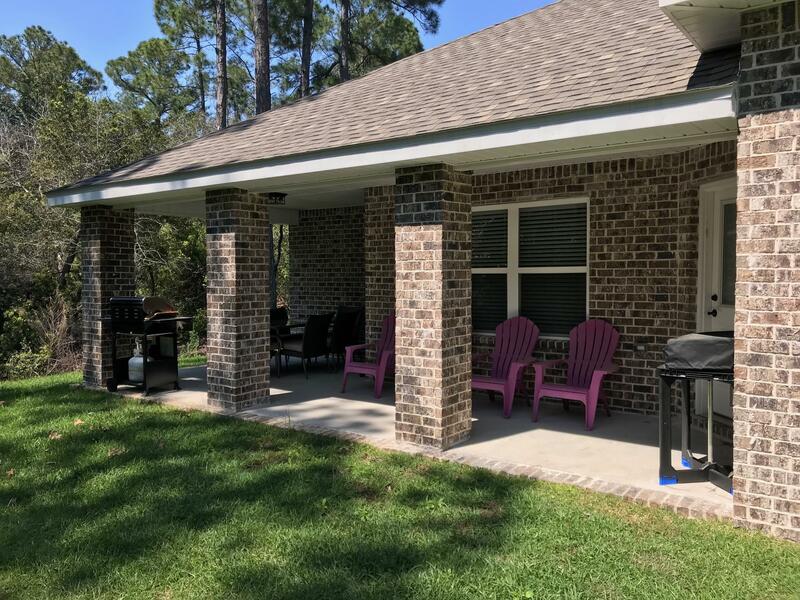 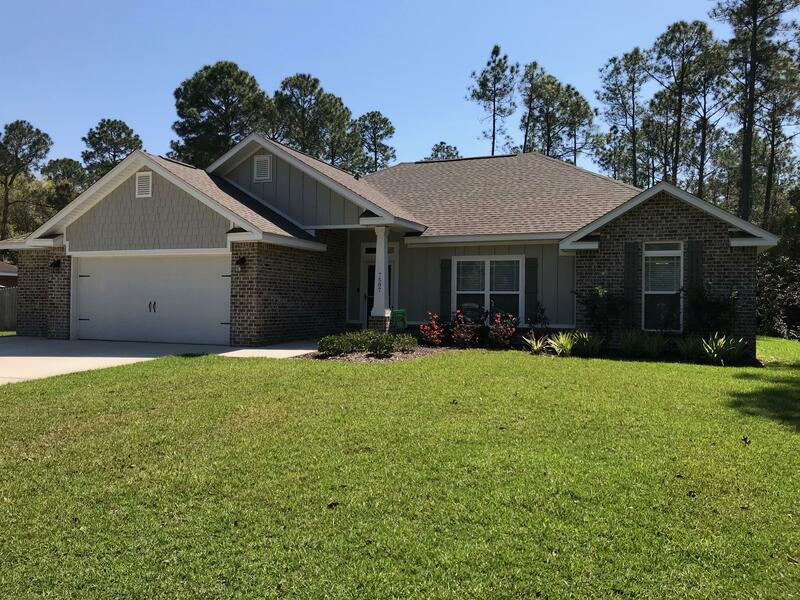 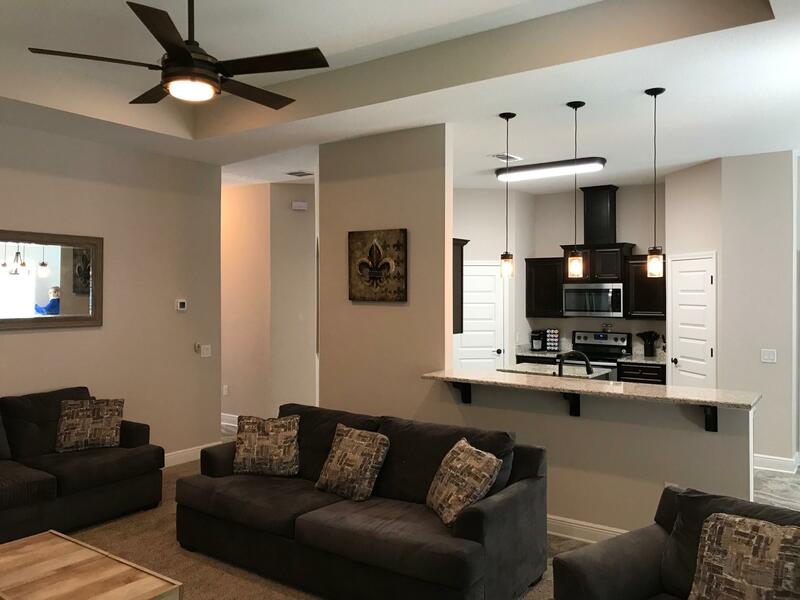 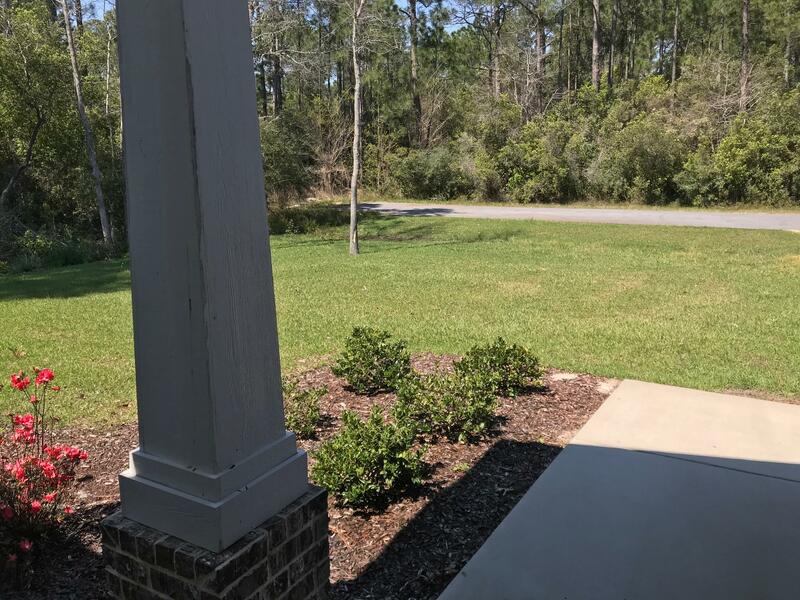 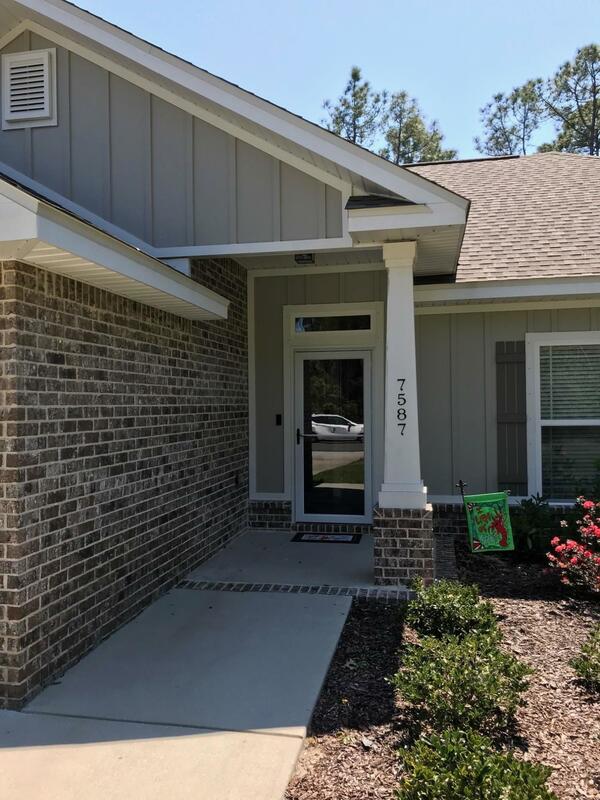 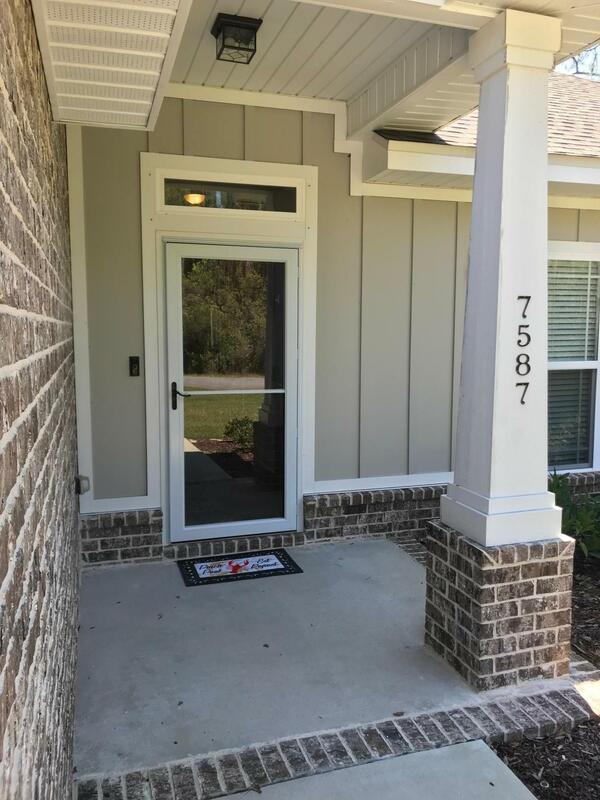 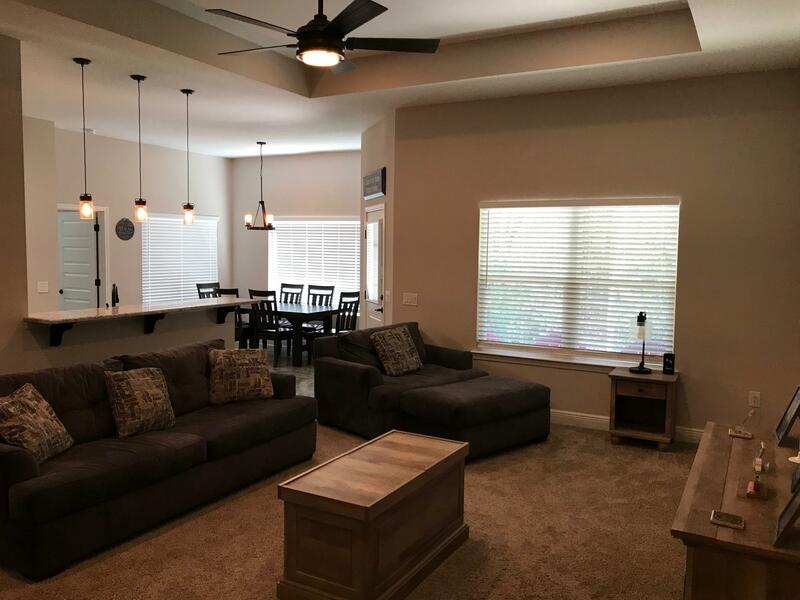 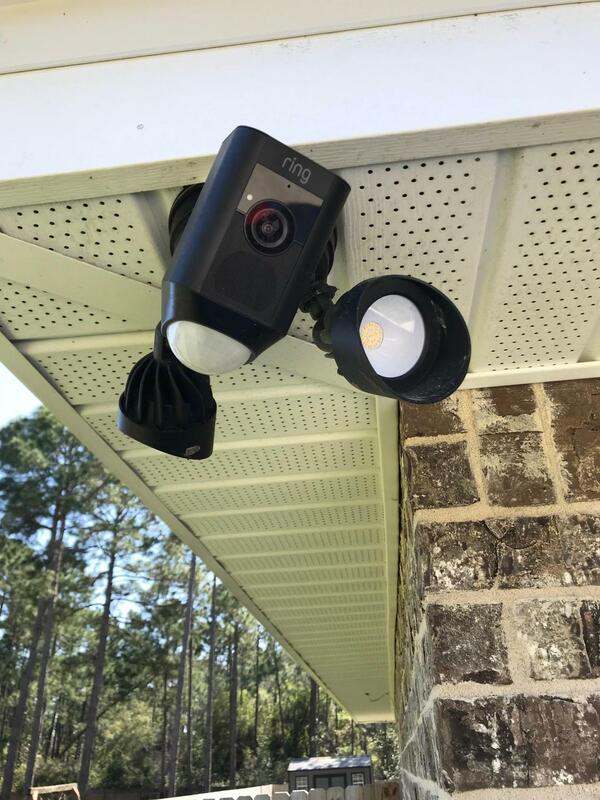 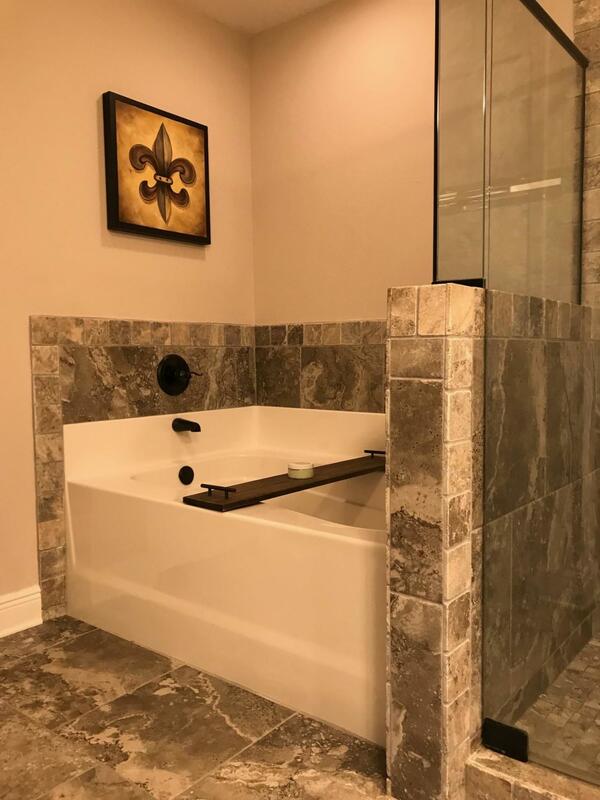 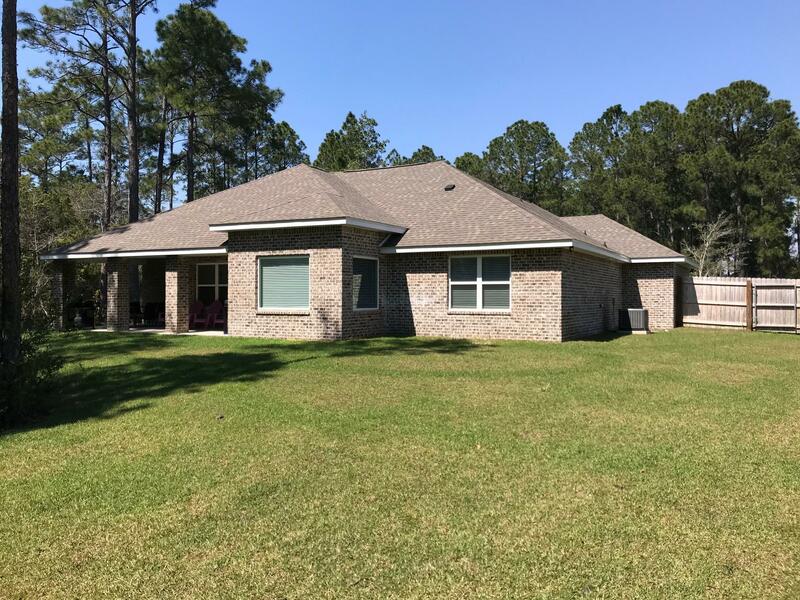 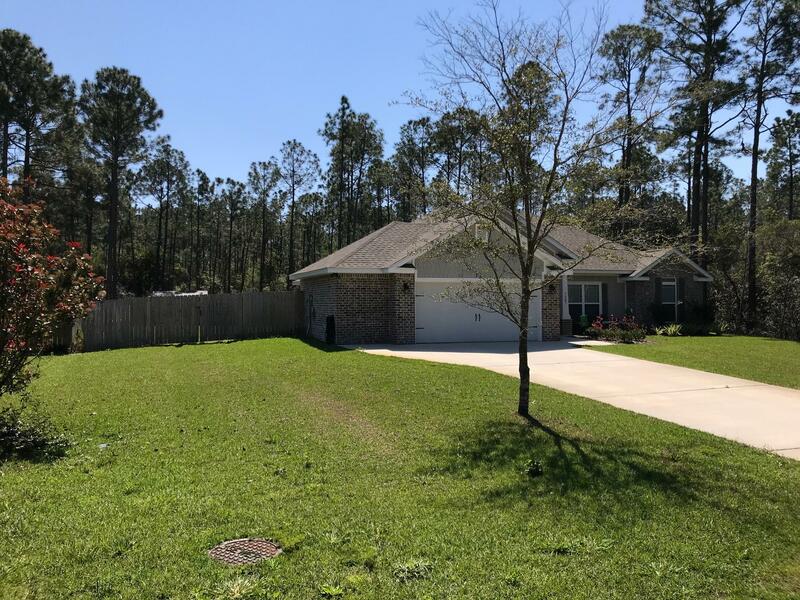 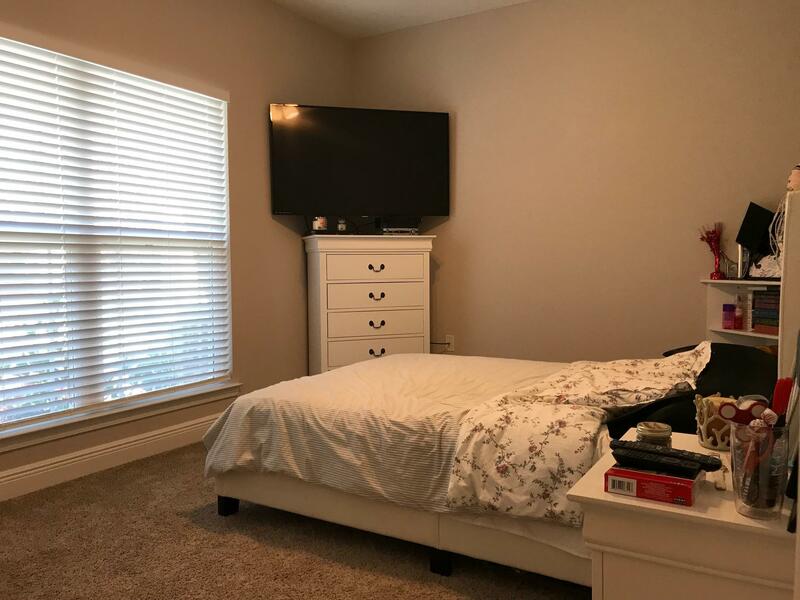 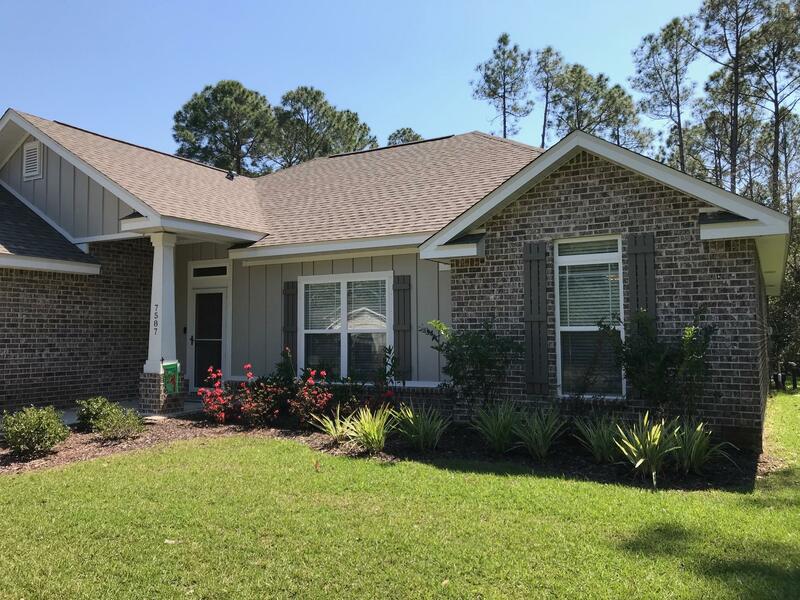 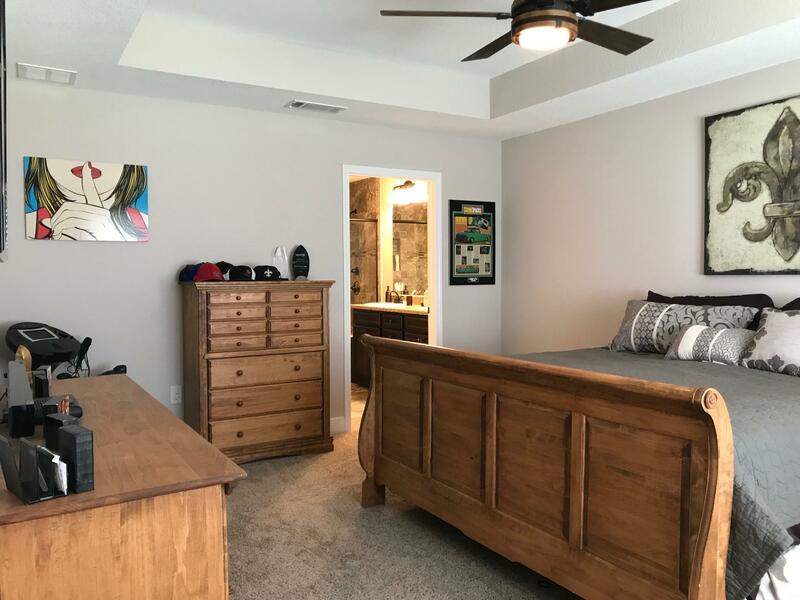 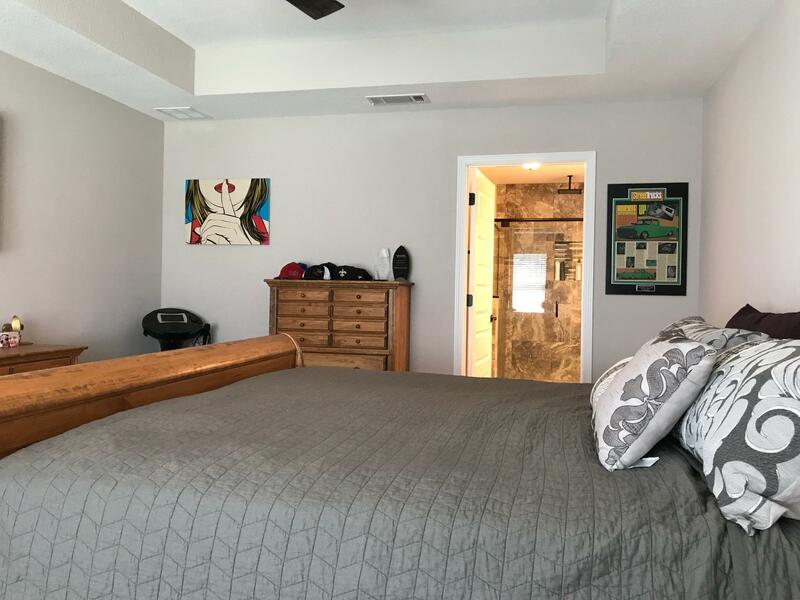 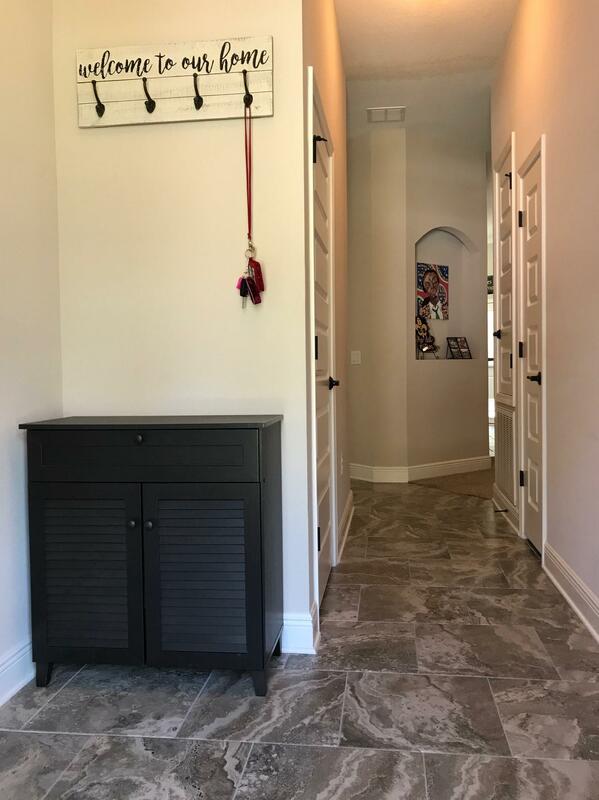 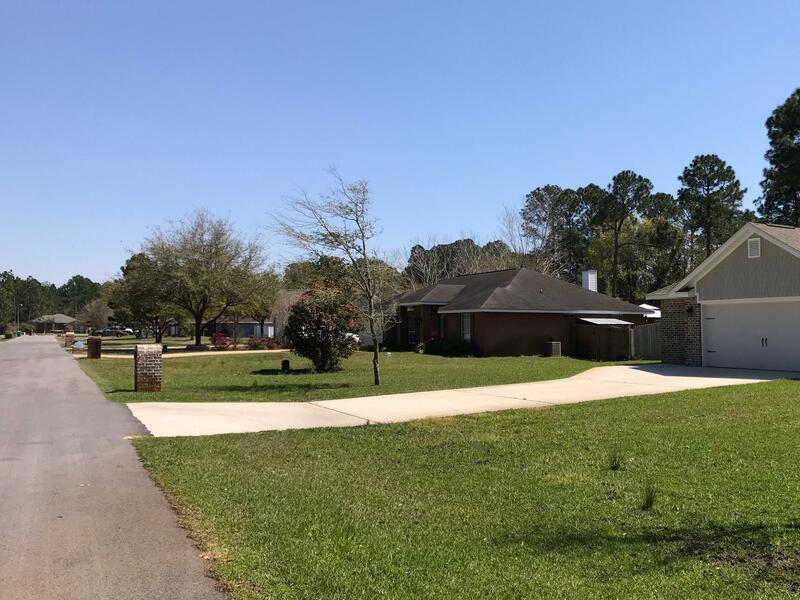 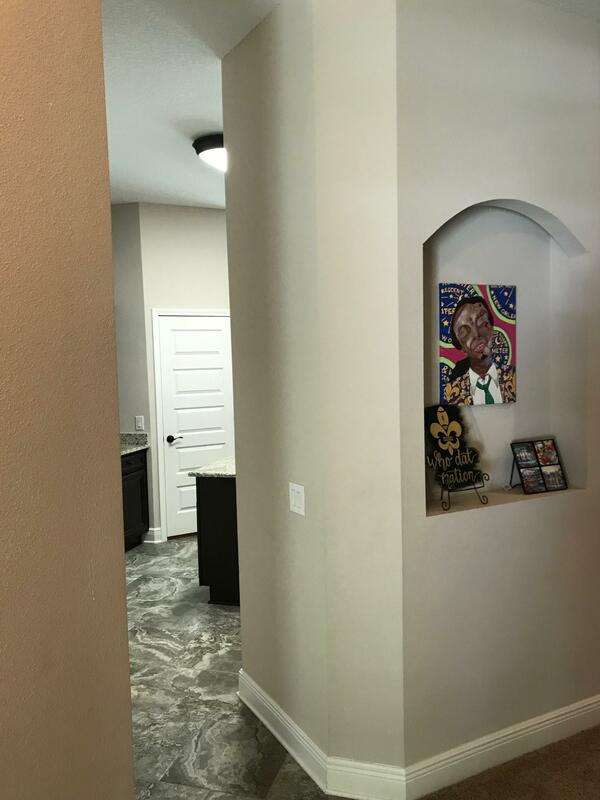 7587 Vinca Street, Navarre, FL 32566 (MLS# 818754) - Real Estate Professionals of Destin, Inc. | Real Estate Professionals of NW FLA, Inc. 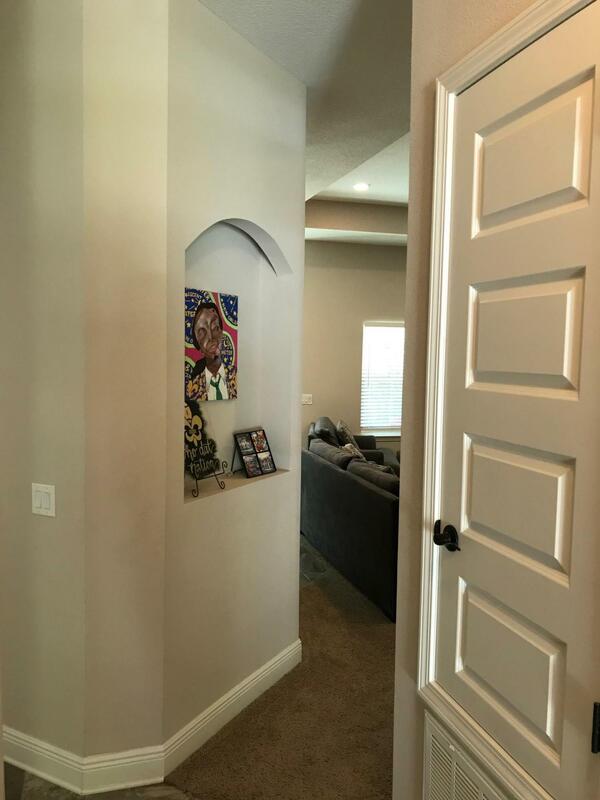 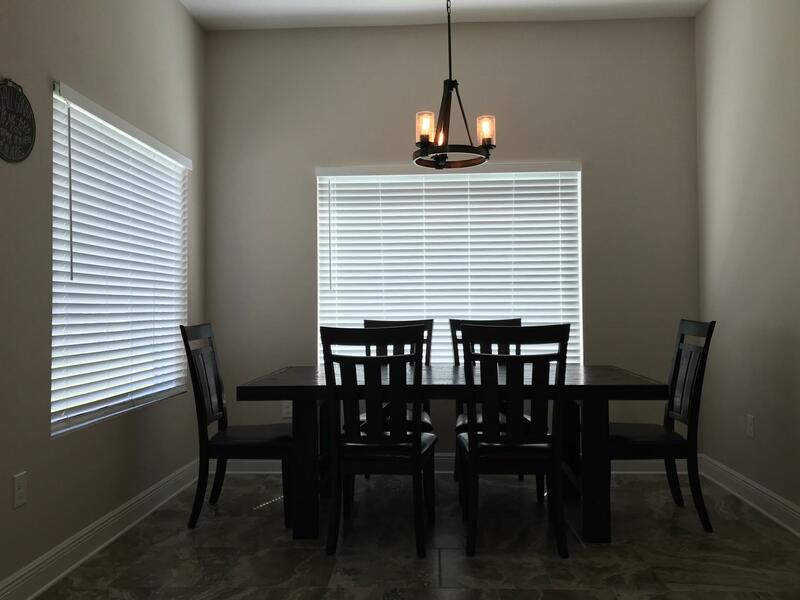 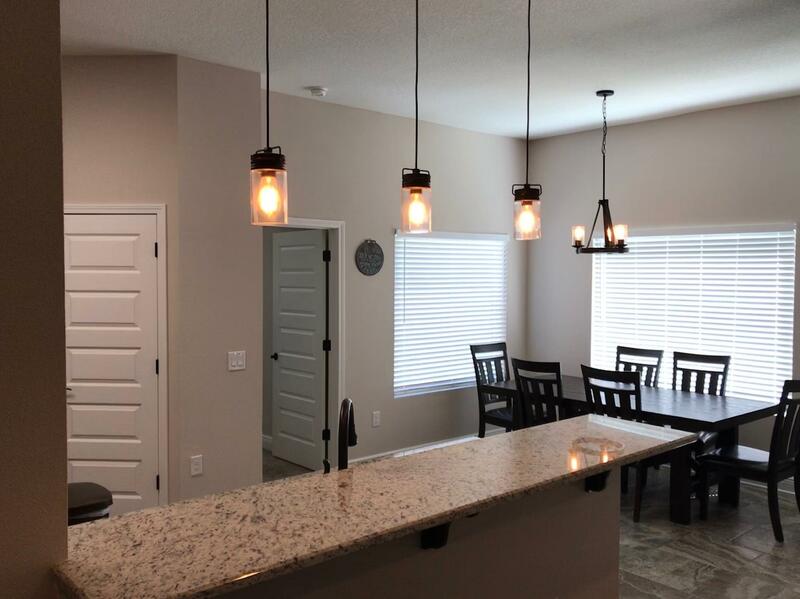 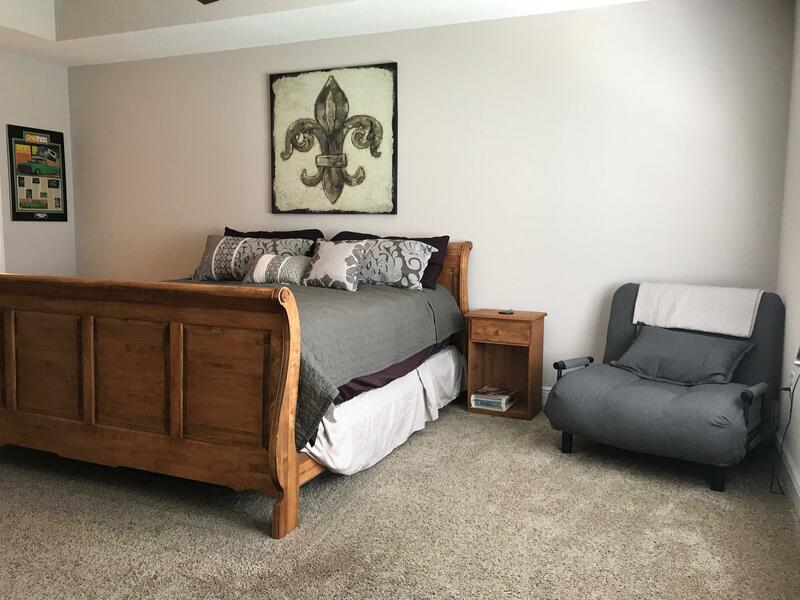 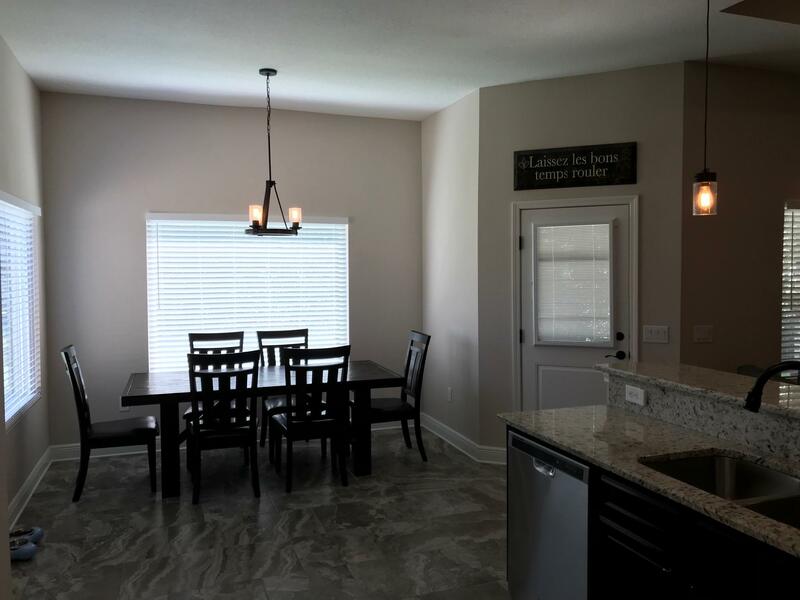 Welcome home to the beautiful semi custom build 1942 square foot open floor plan. 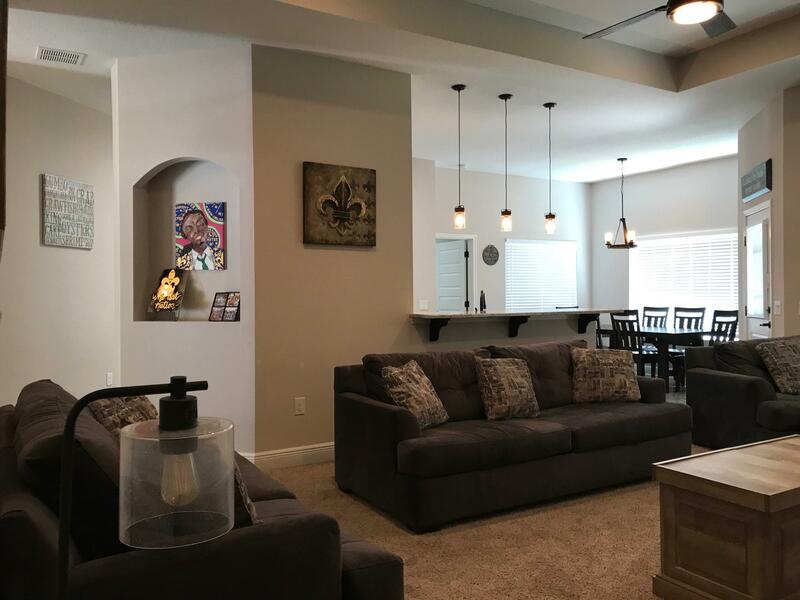 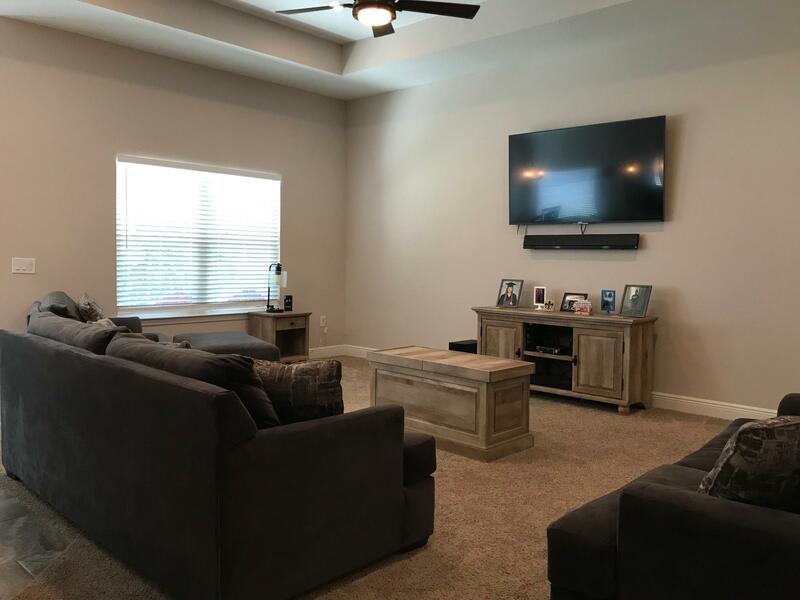 The home features an open design with a great room that boasts a trey ceiling with recessed lighting. 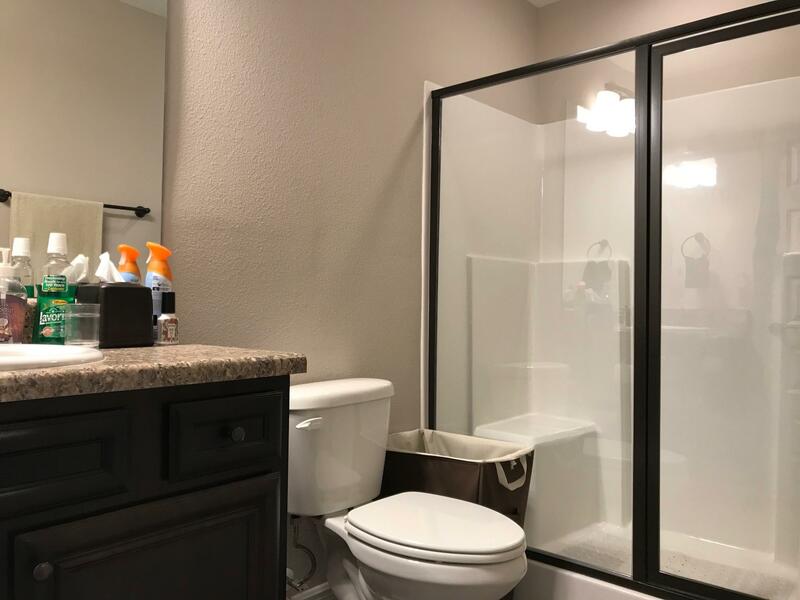 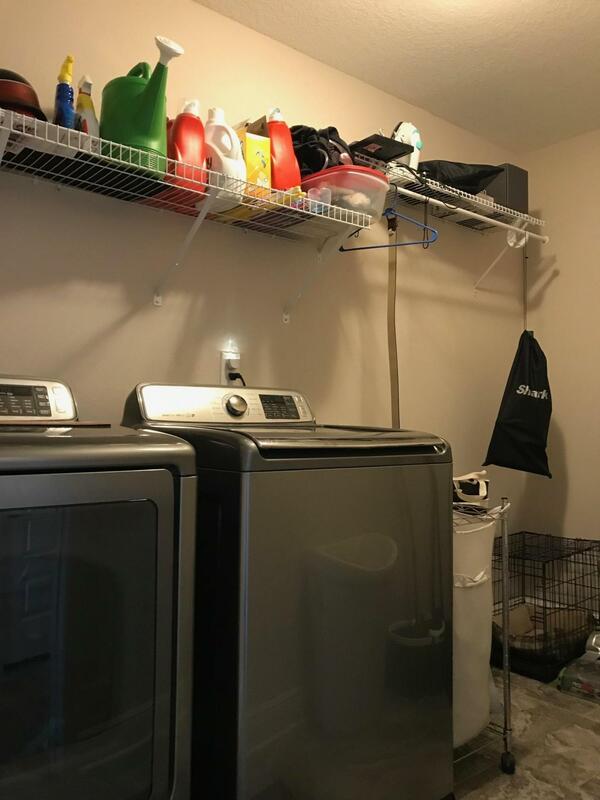 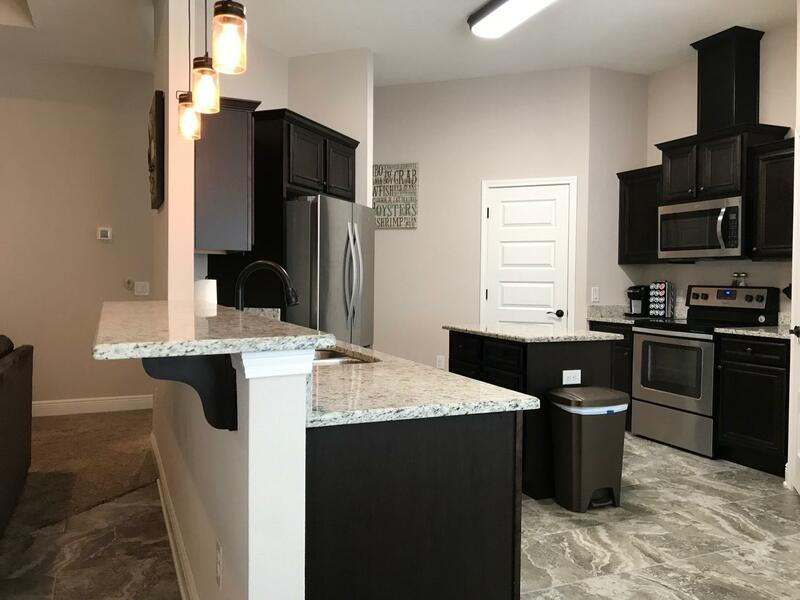 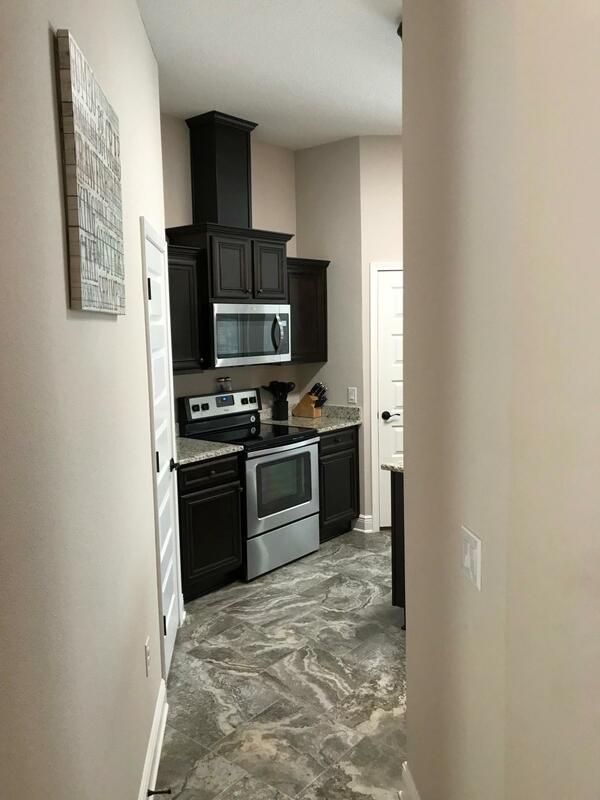 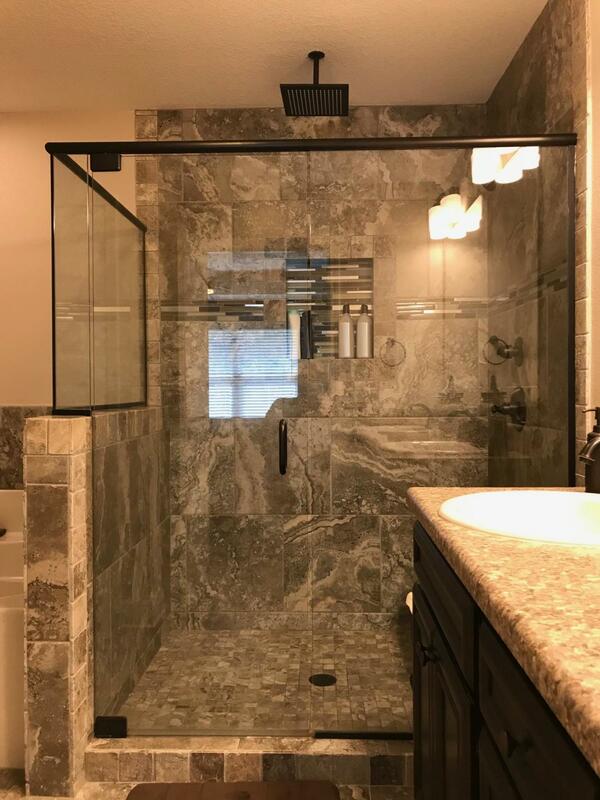 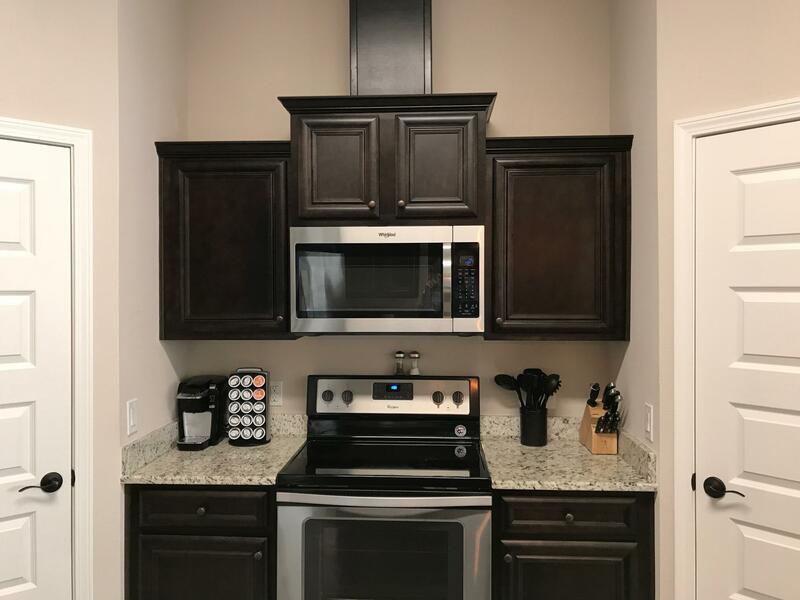 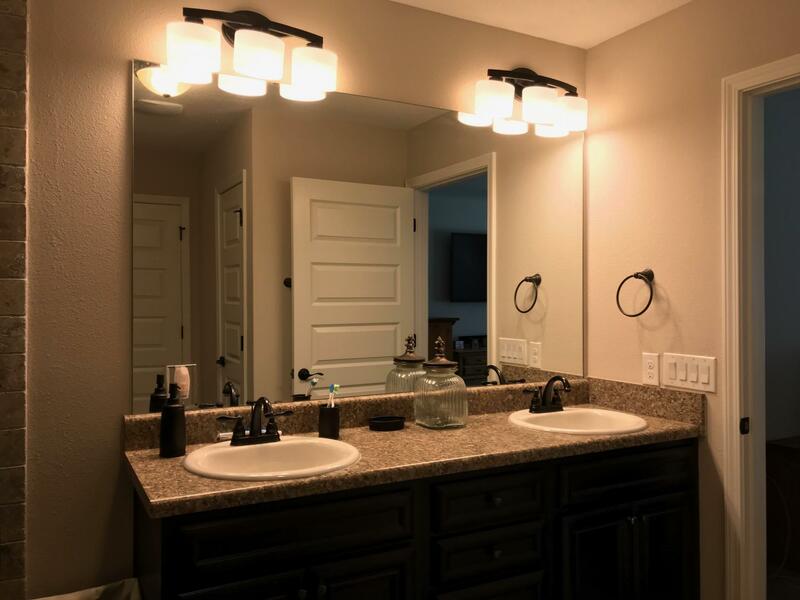 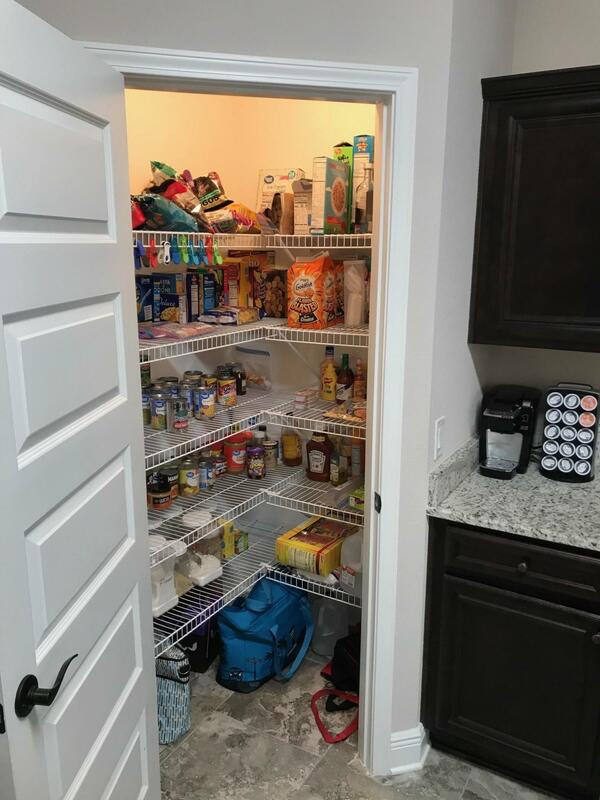 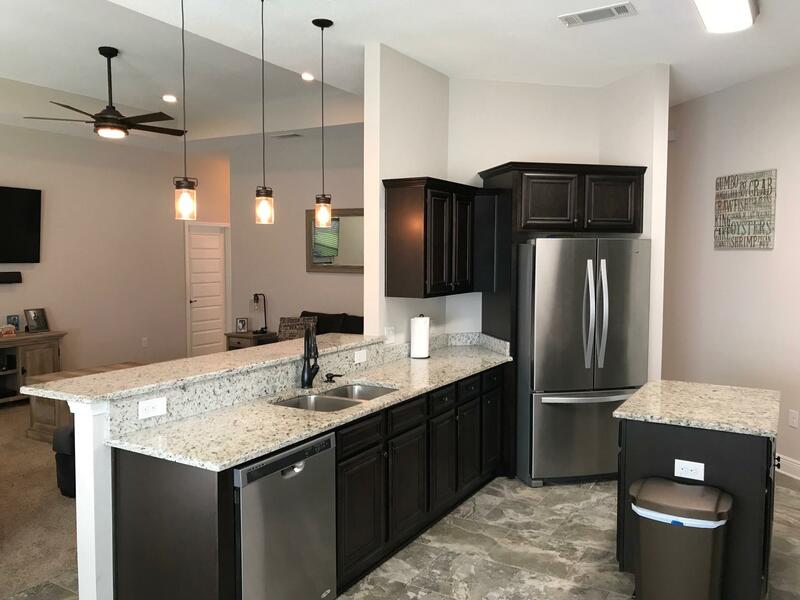 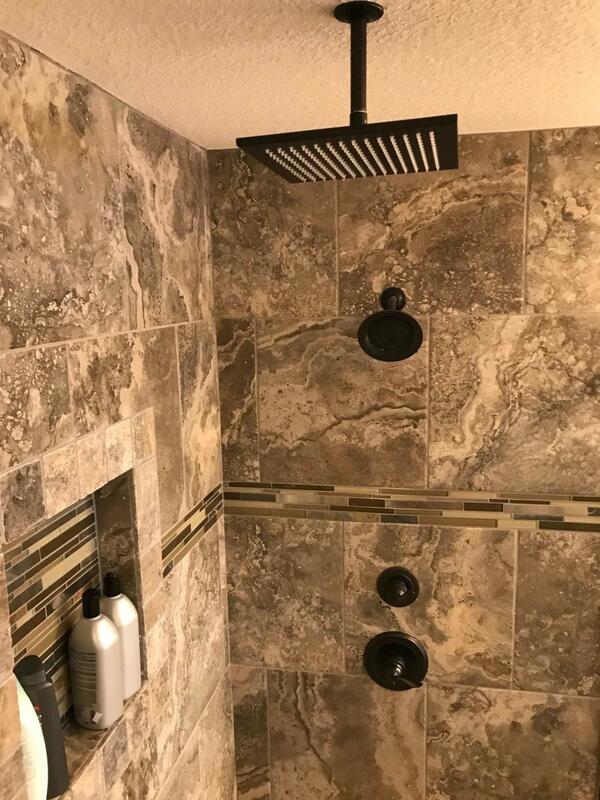 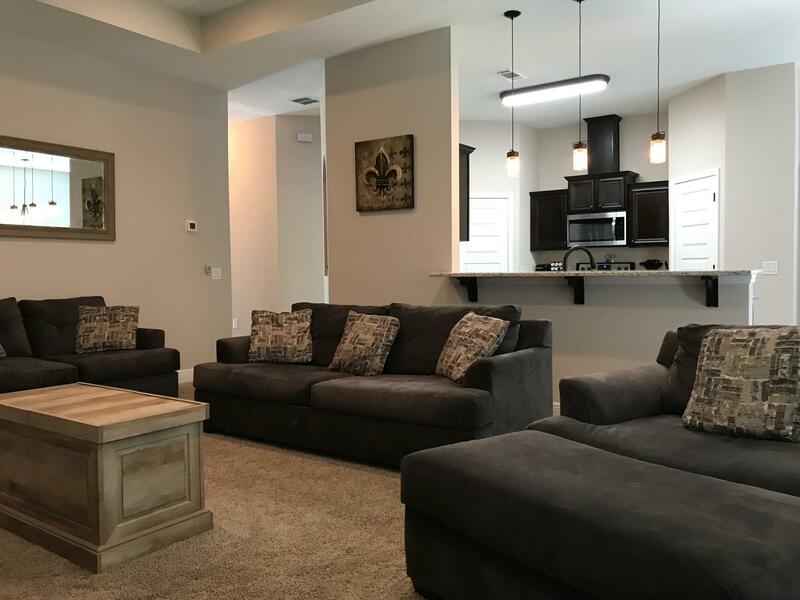 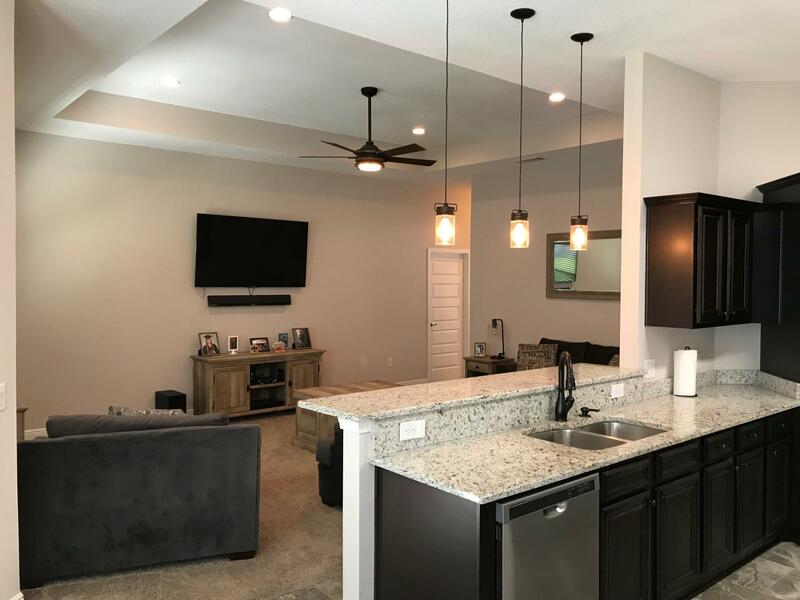 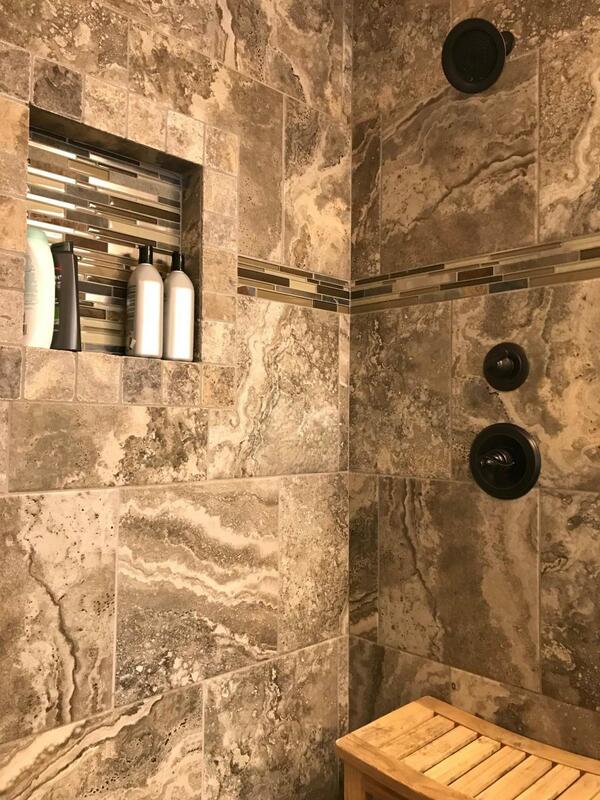 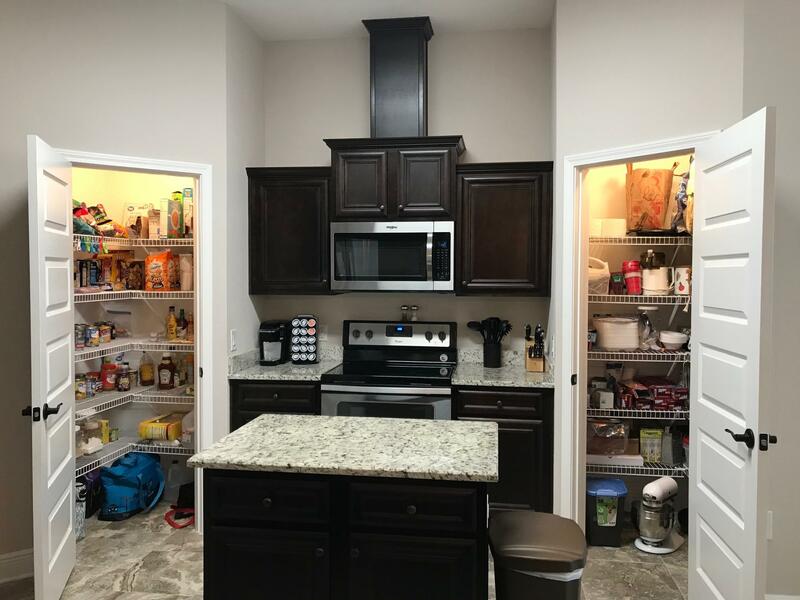 The spacious kitchen has granite counter tops with an under mount sink and a pull down faucet, The cabinets are 30'' upper stained espresso color cabinet doors, soft close cabinet drawers, stainless steel range dishwasher. 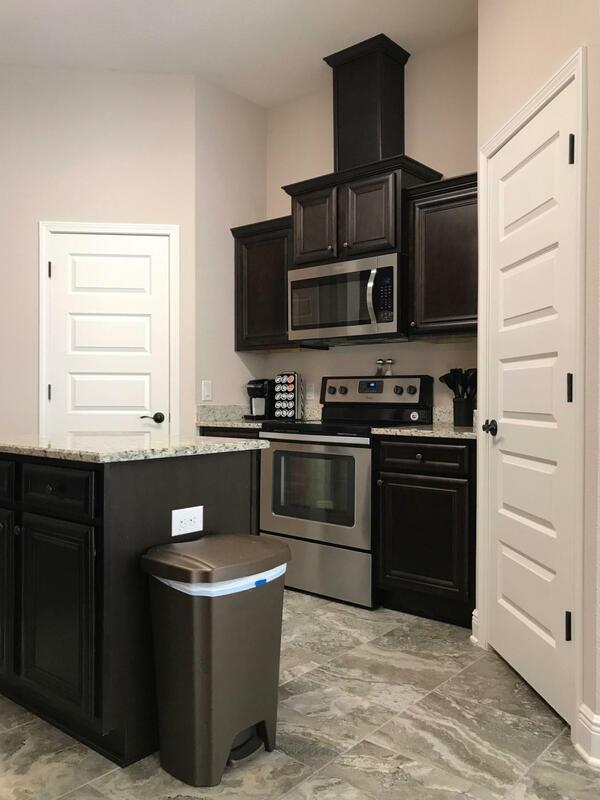 The kitchen has all matching Whirlpool appliances. 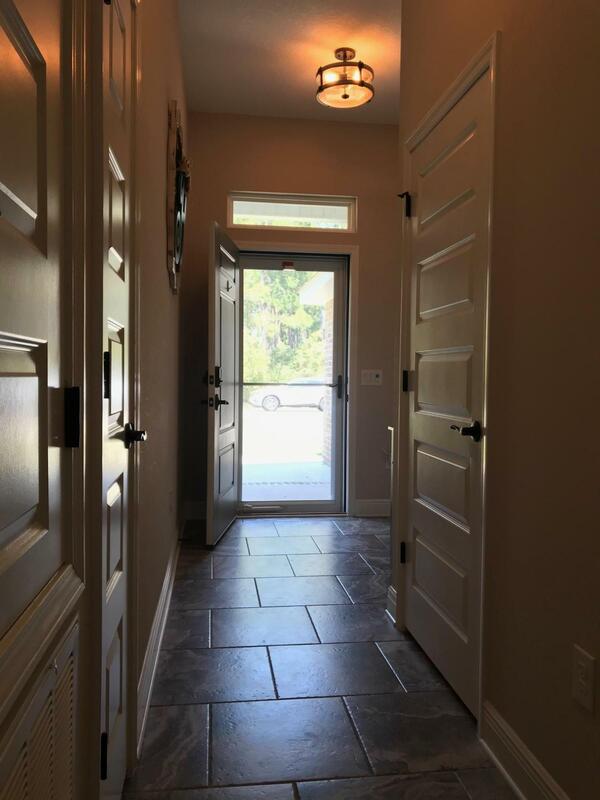 The kitchen, Breakfast Nook, Foyer, Bathrooms, and Utility Room all have 18''x18'' Tile floors. 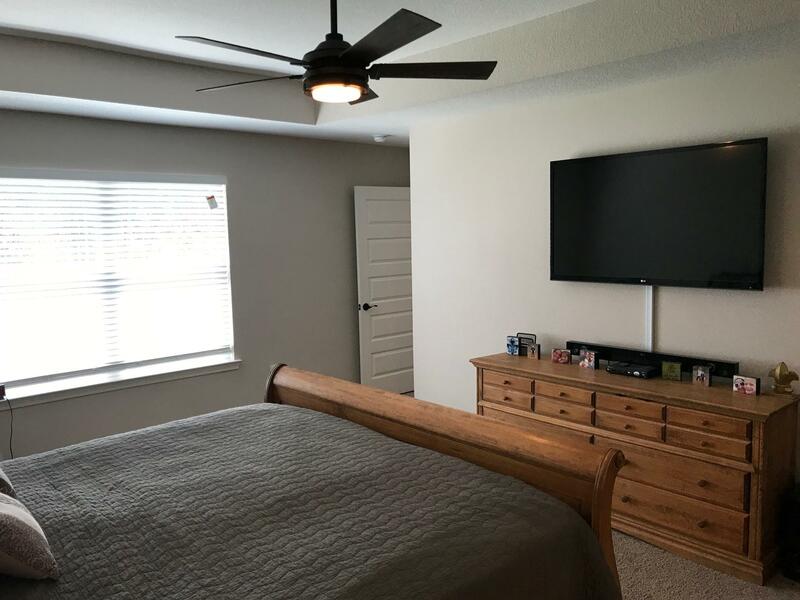 This home is quieter than most with interior walls between the bathrooms / bedrooms and living areas being insulated. 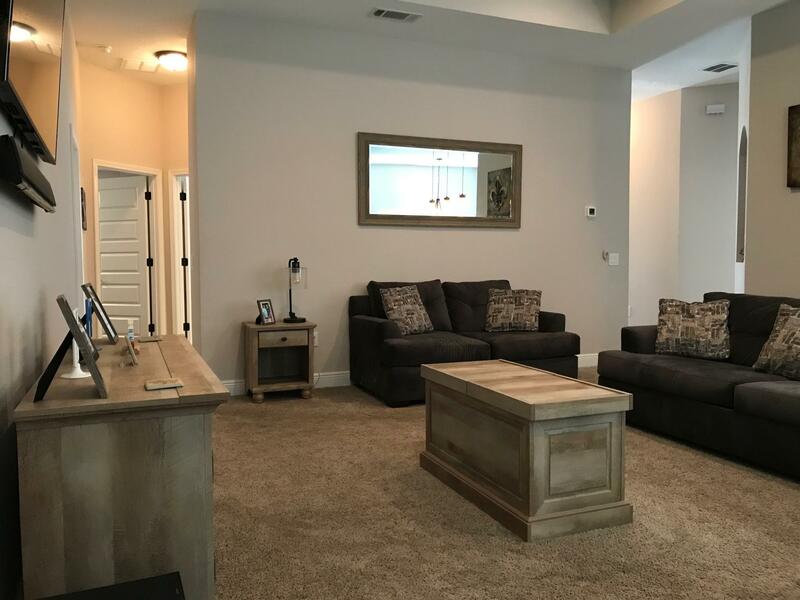 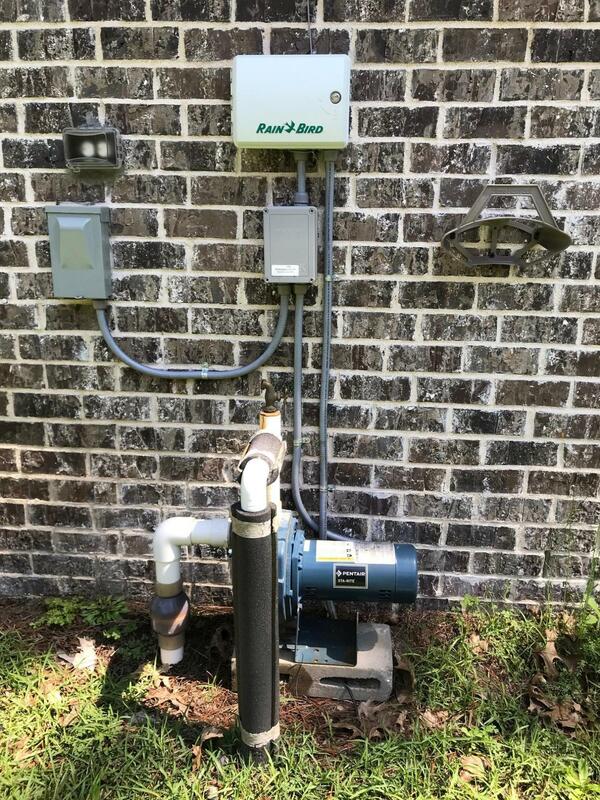 The home sits on a large lot and its great for a swimming pool since its on public sewer and water. 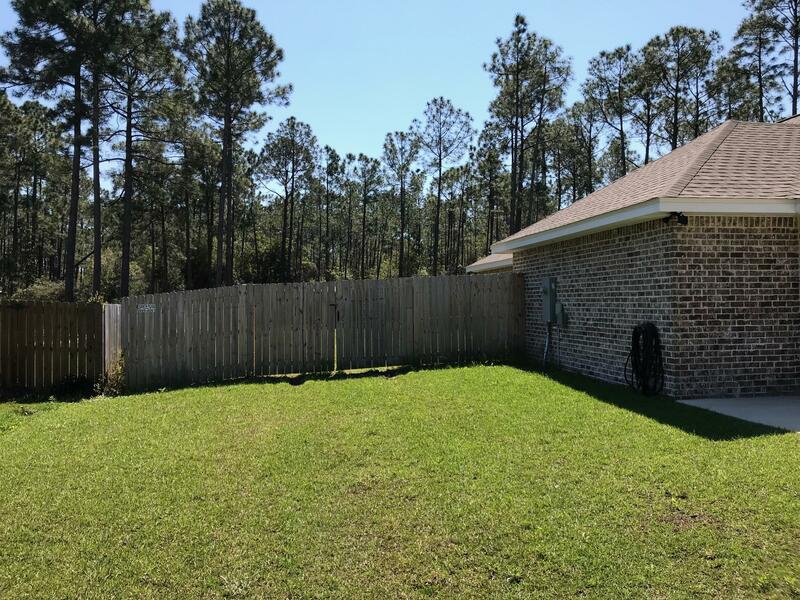 The lot is partially fencebecause the family wanted to enjoy the out doors without feeling completely closed in and away from nature. 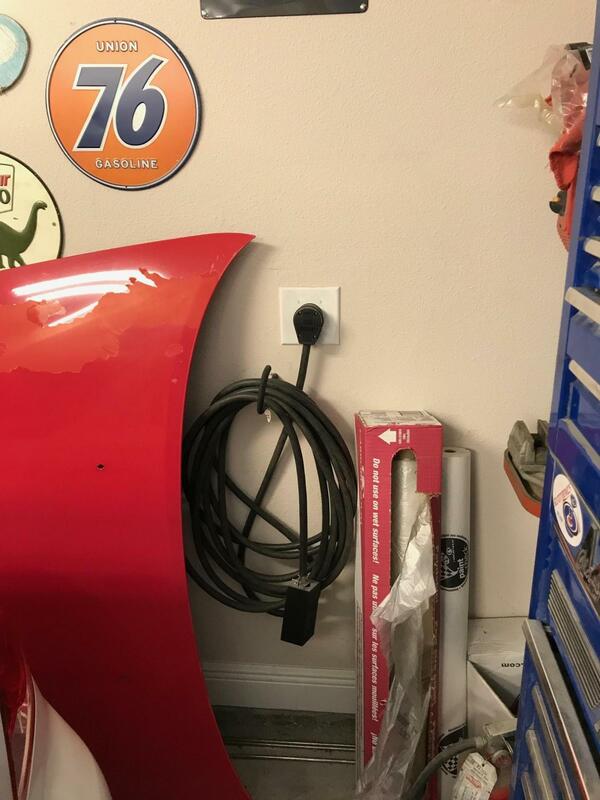 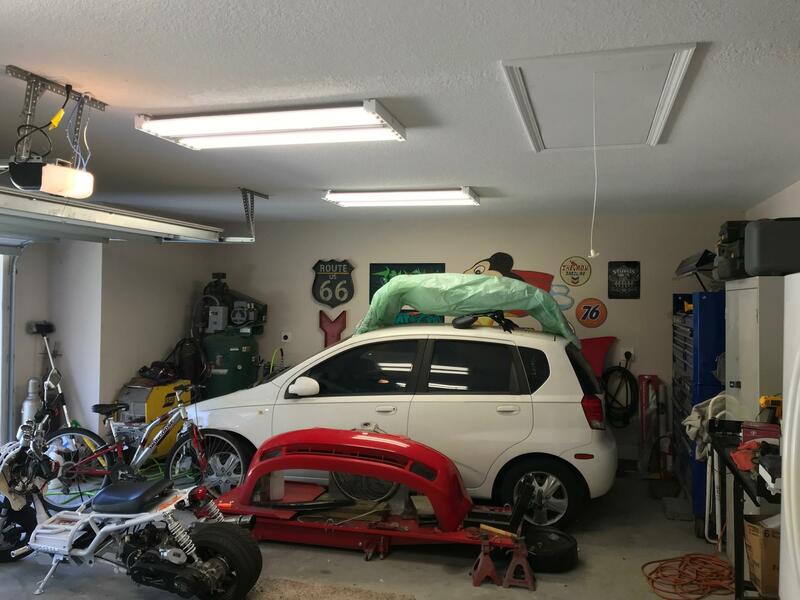 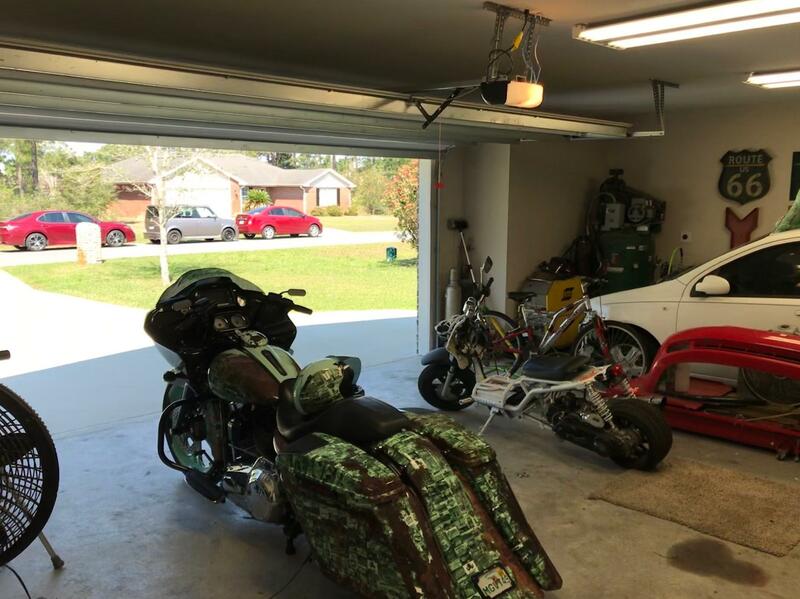 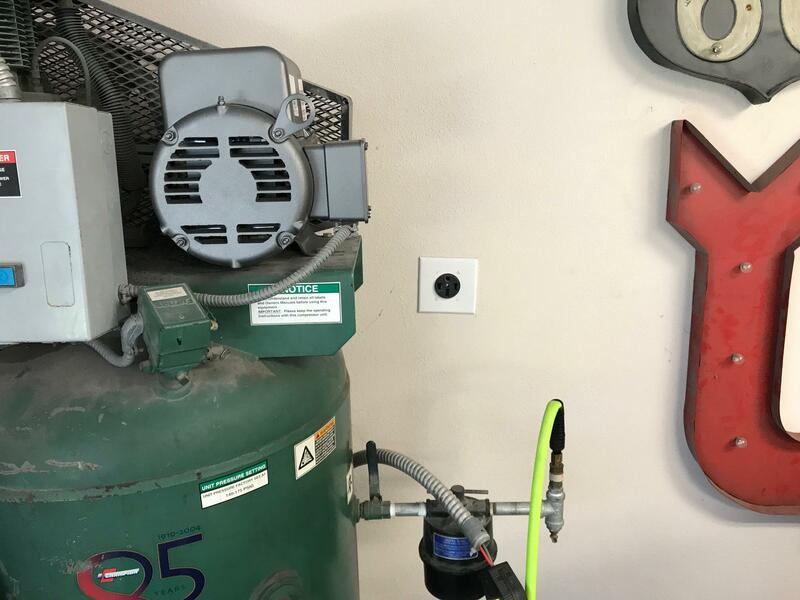 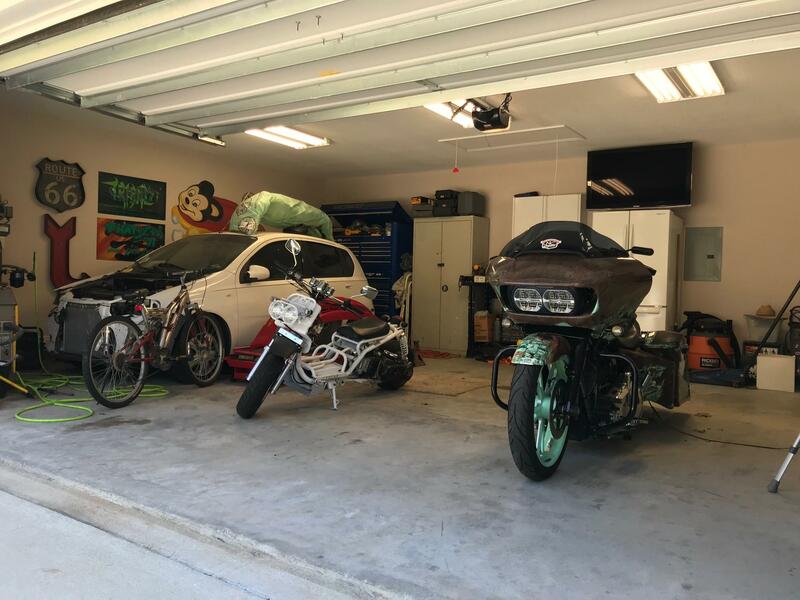 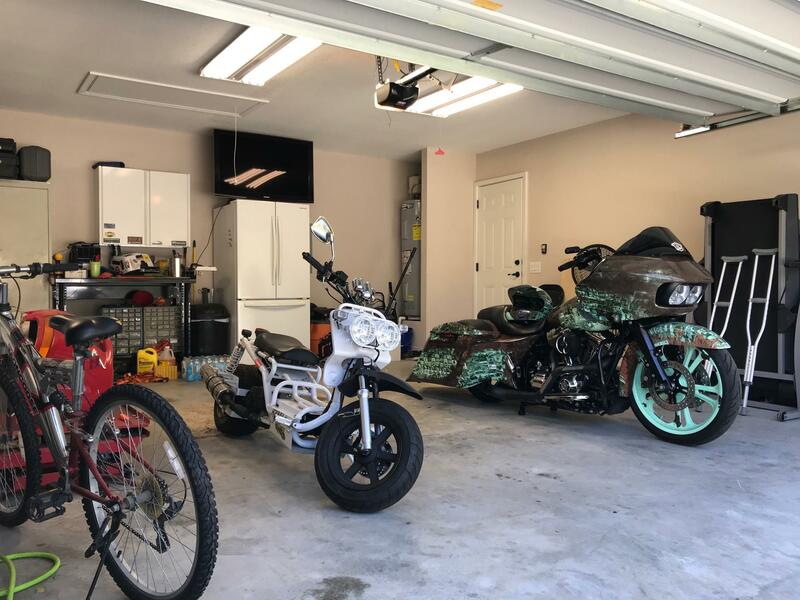 The garage is a two and half car because the sellers love to ride their Harley and the garage was a great place to keep it stored and out of mother nature. 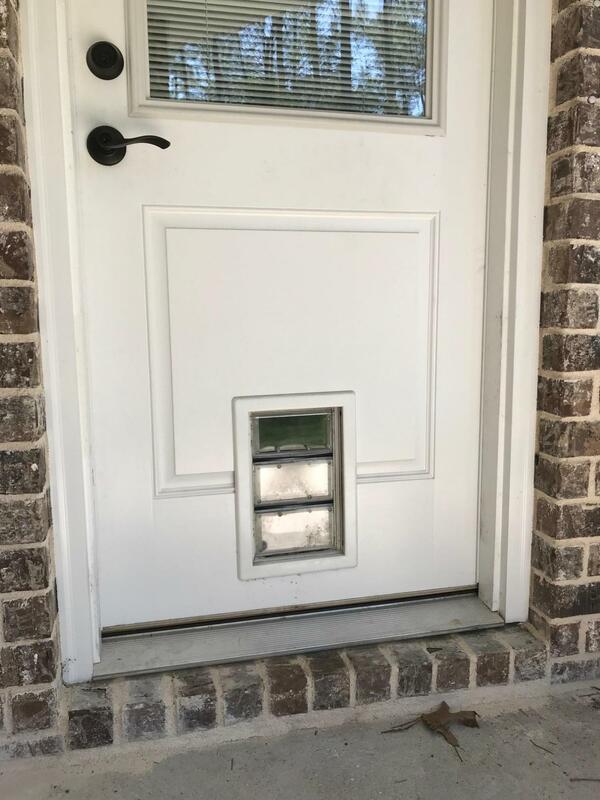 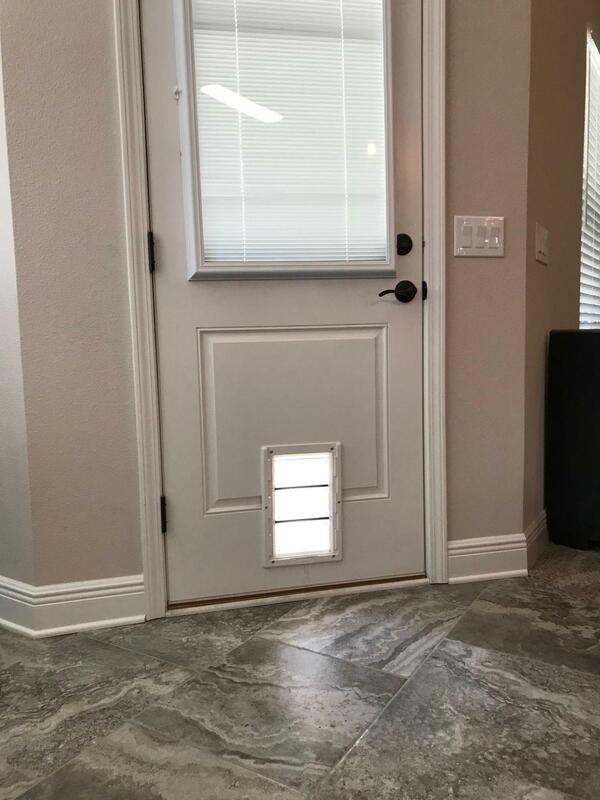 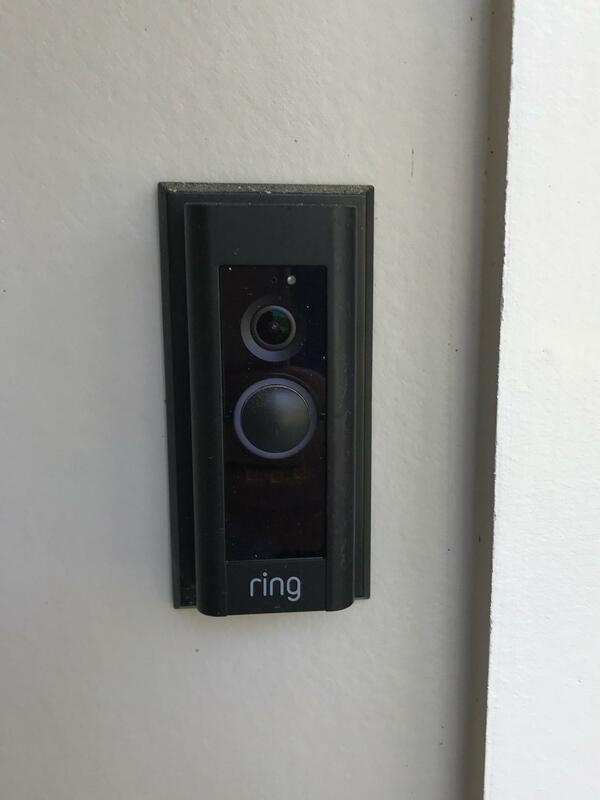 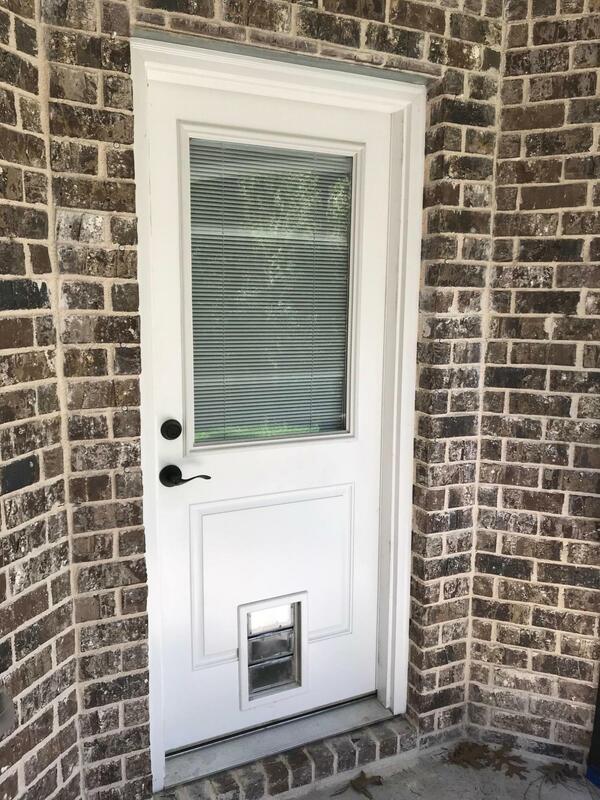 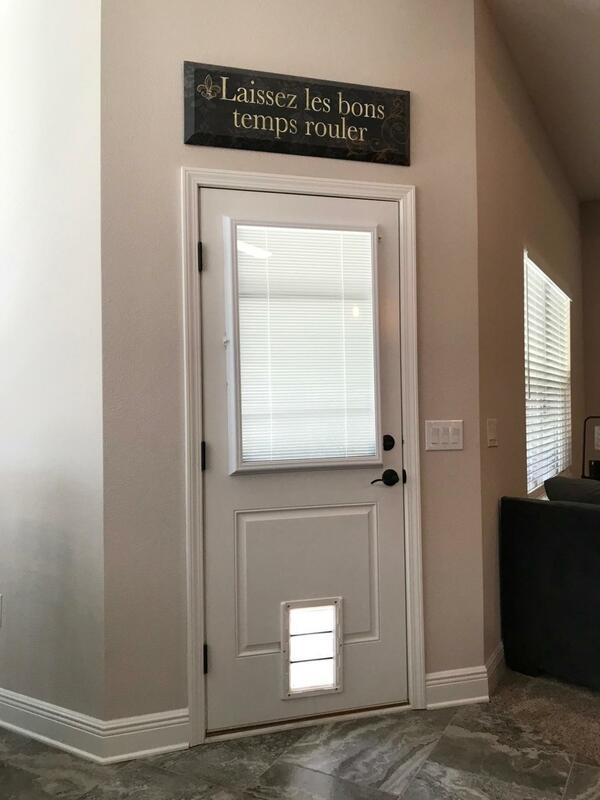 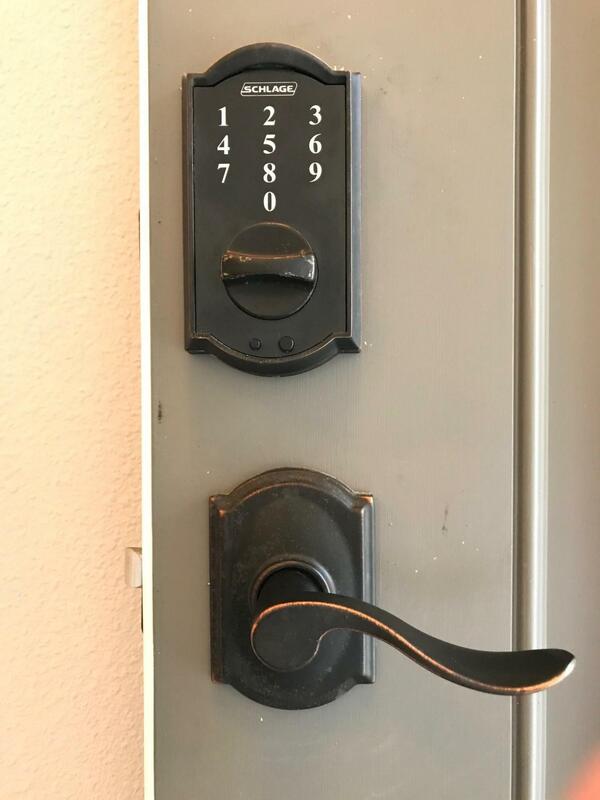 Before exiting the home you will notice the ring door bell system and it can be turned over to the new owner upon purchase. 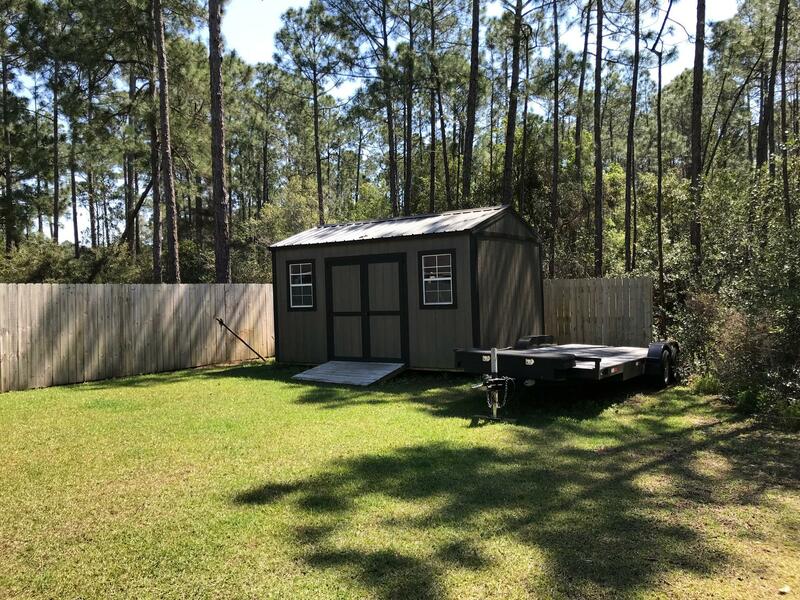 As a bonus there is a 10 x 16 work shed in the back yard as it conveys at no charge. 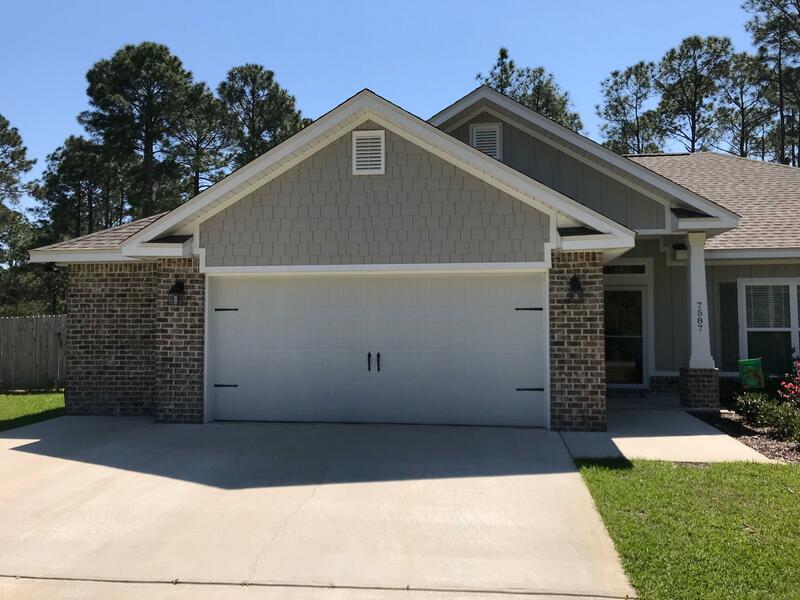 This home want last long at this price and it also comes with all of the amenities of the Holley by the Sea rec center. 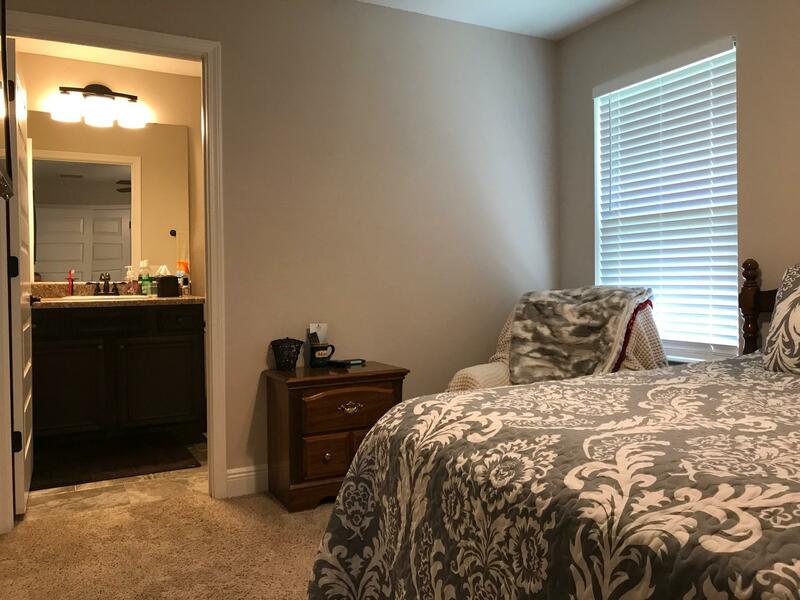 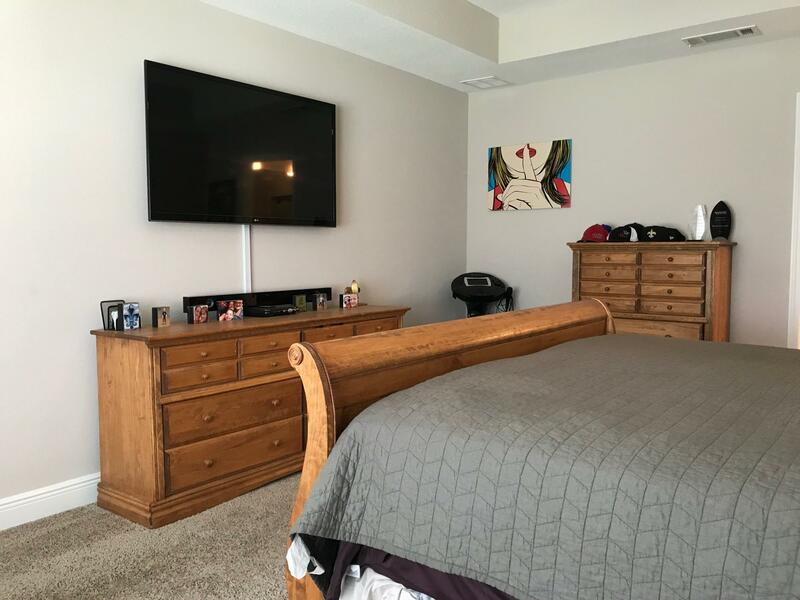 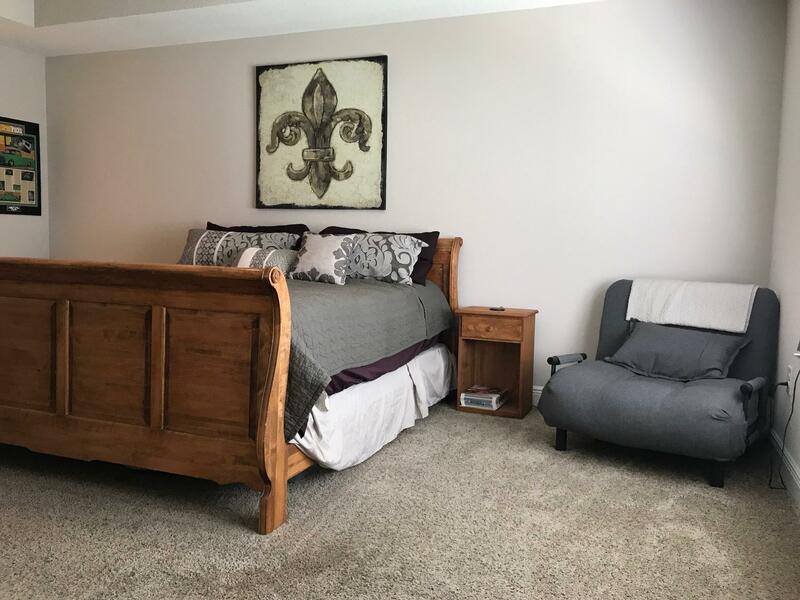 So call today to set up your showing as the home is occupied.